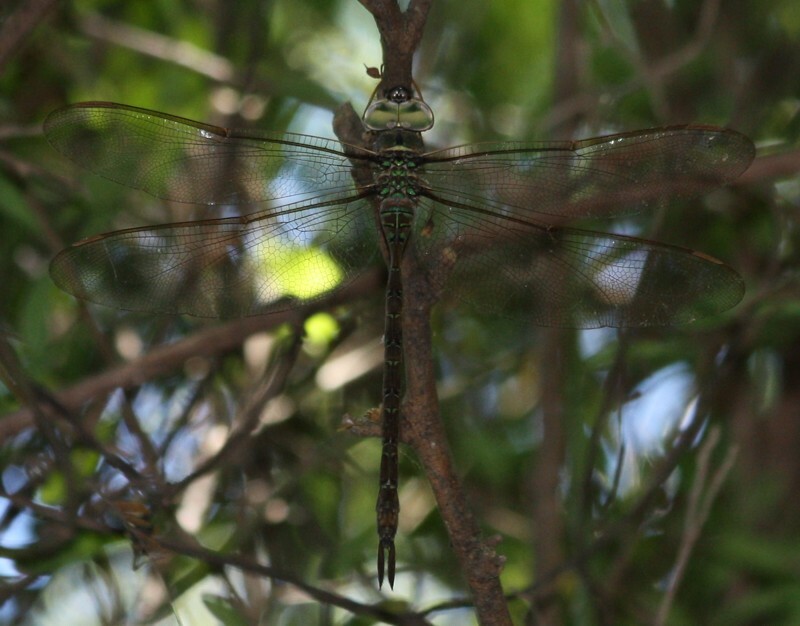 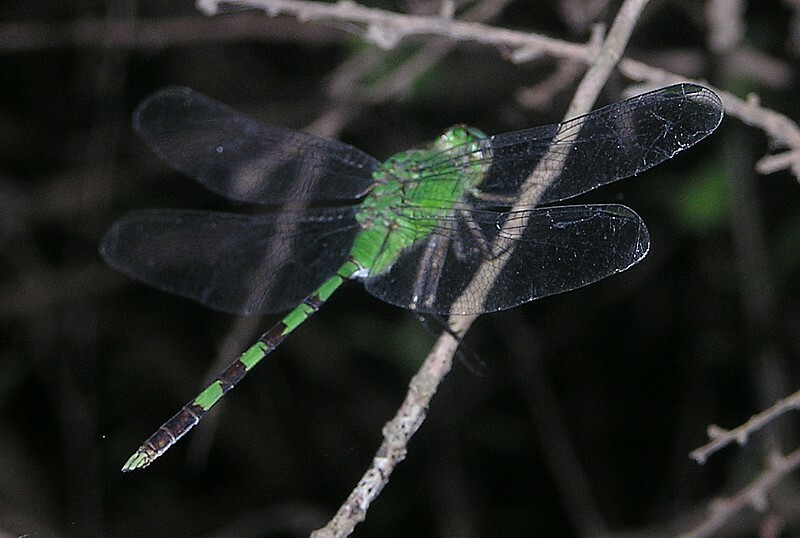 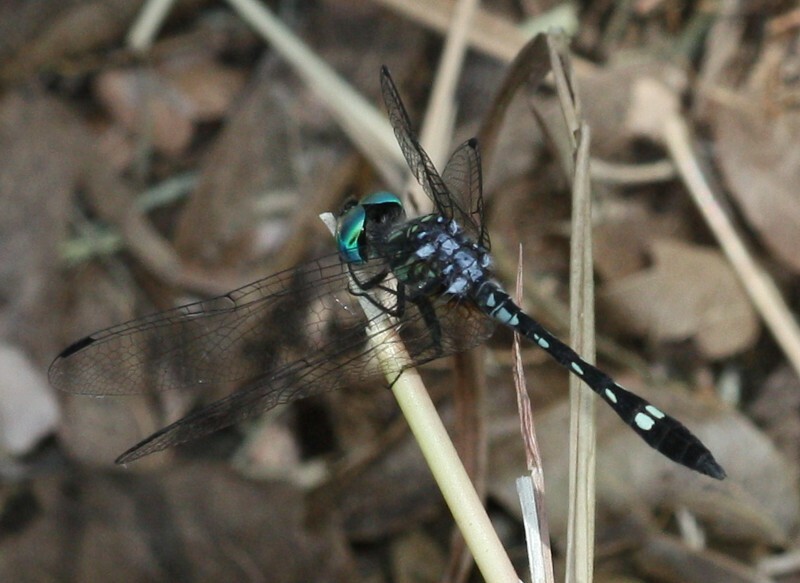 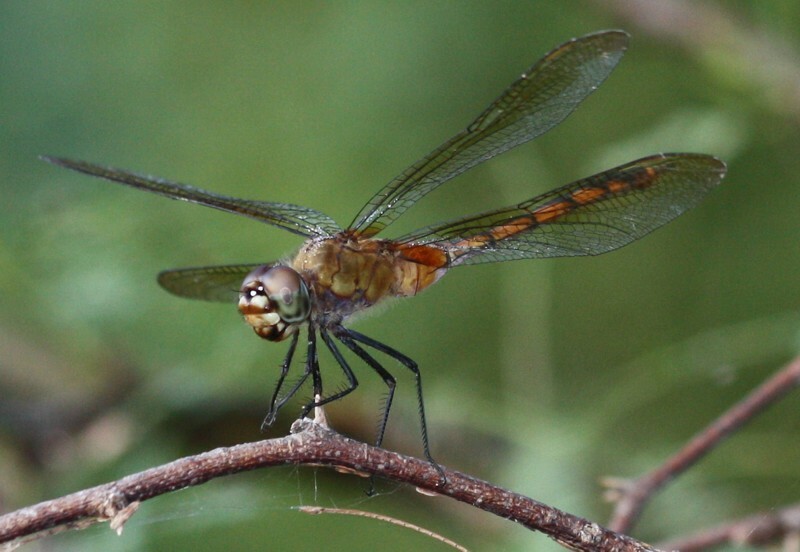 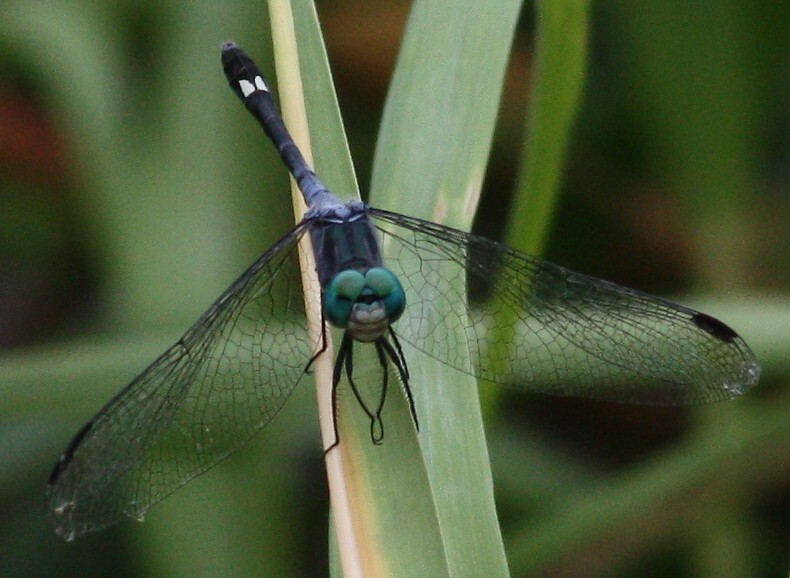 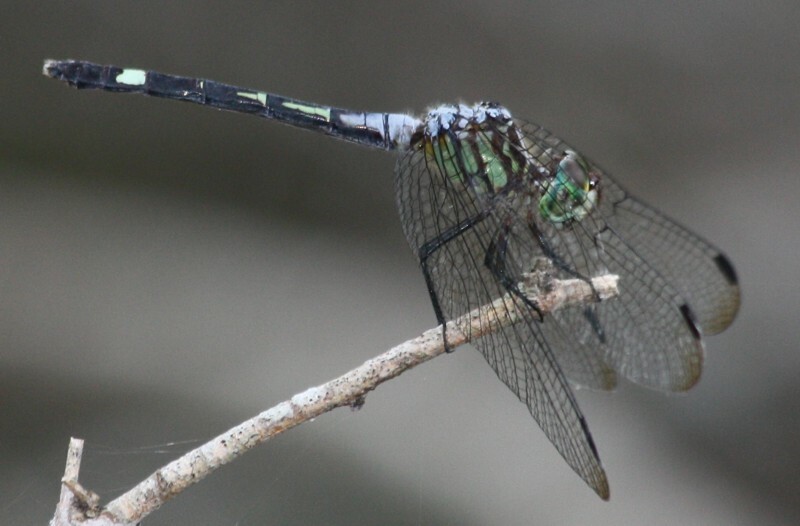 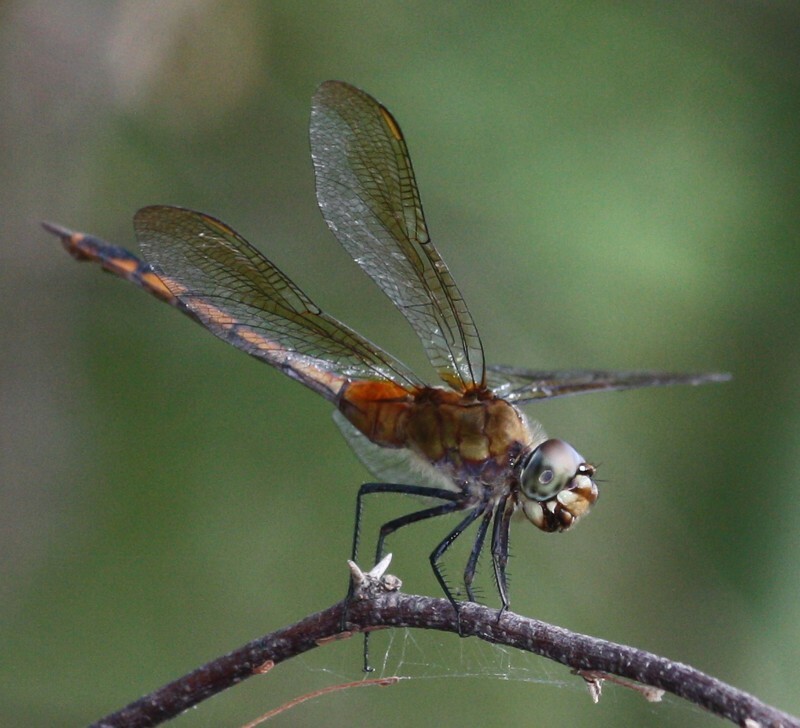 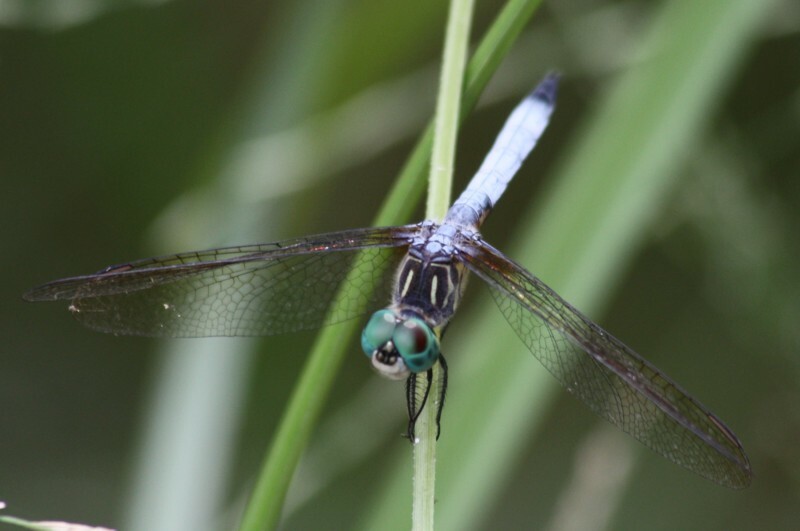 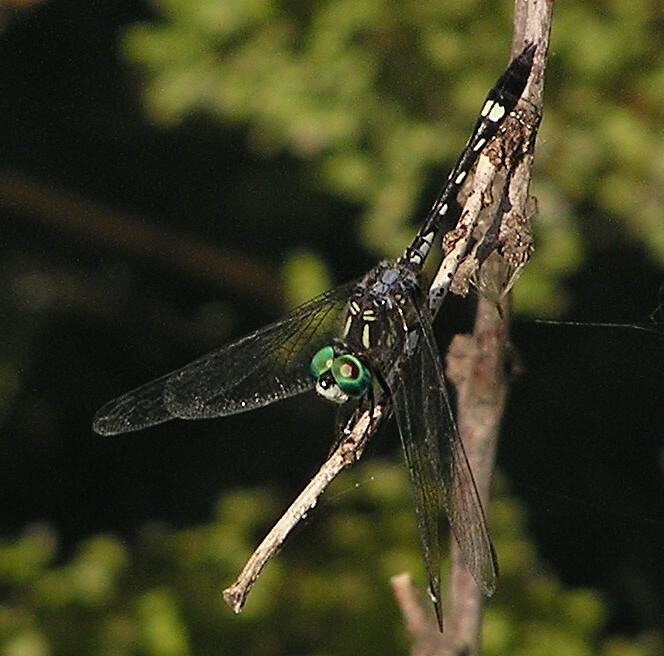 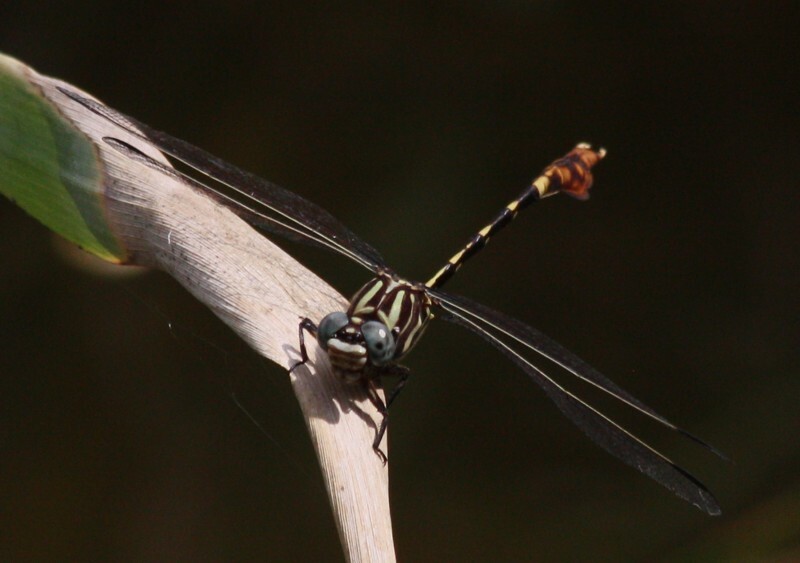 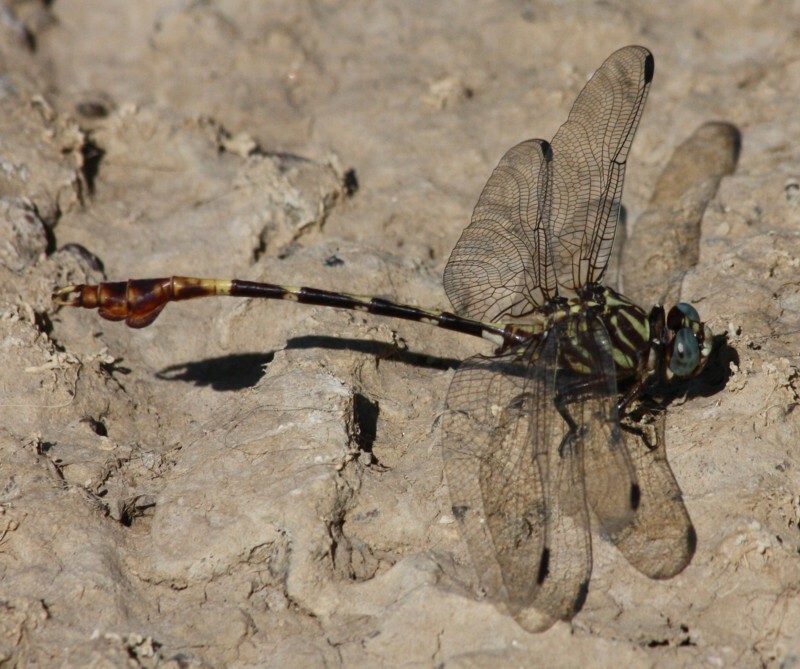 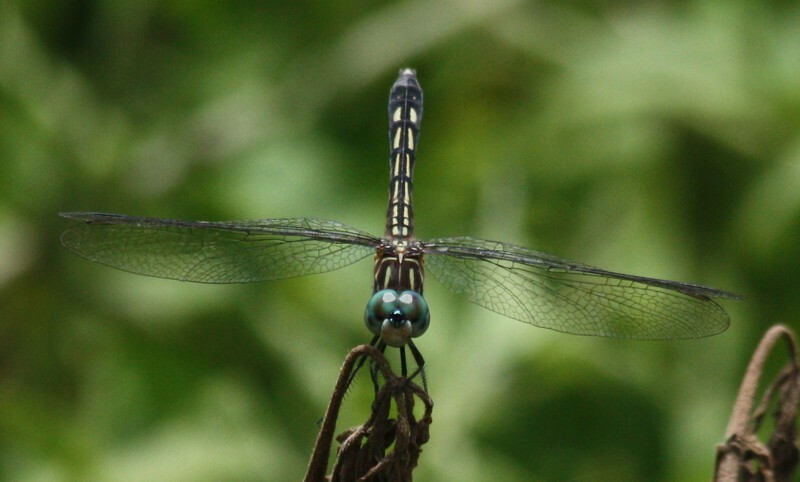 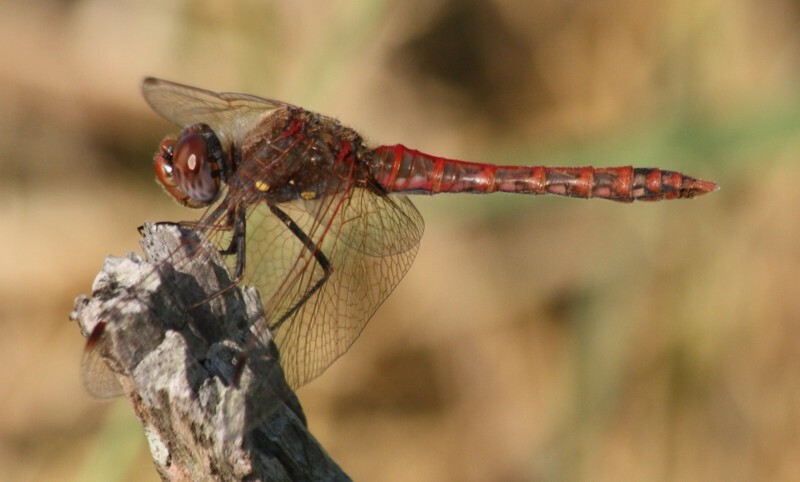 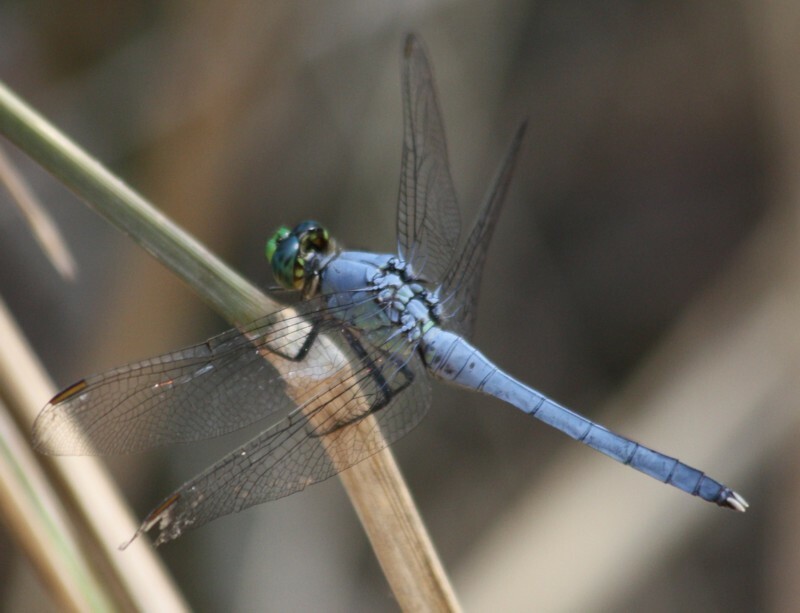 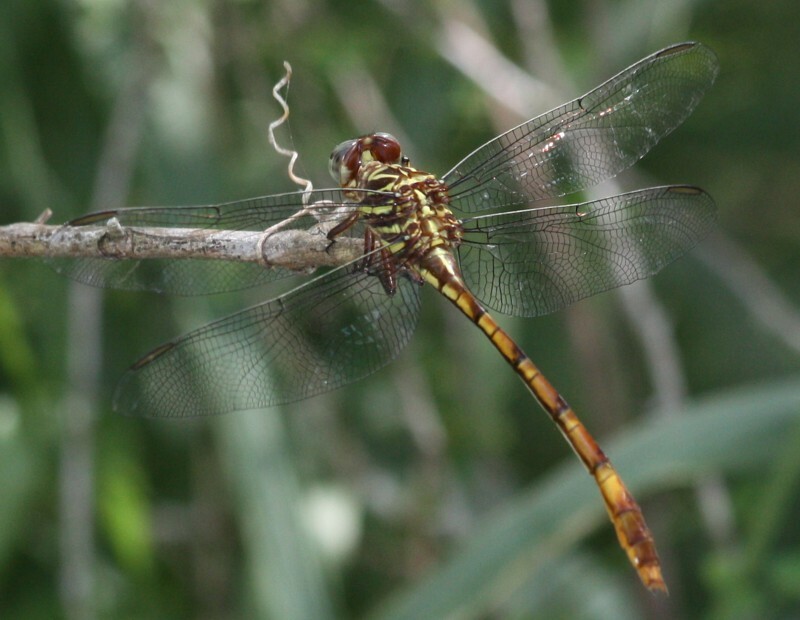 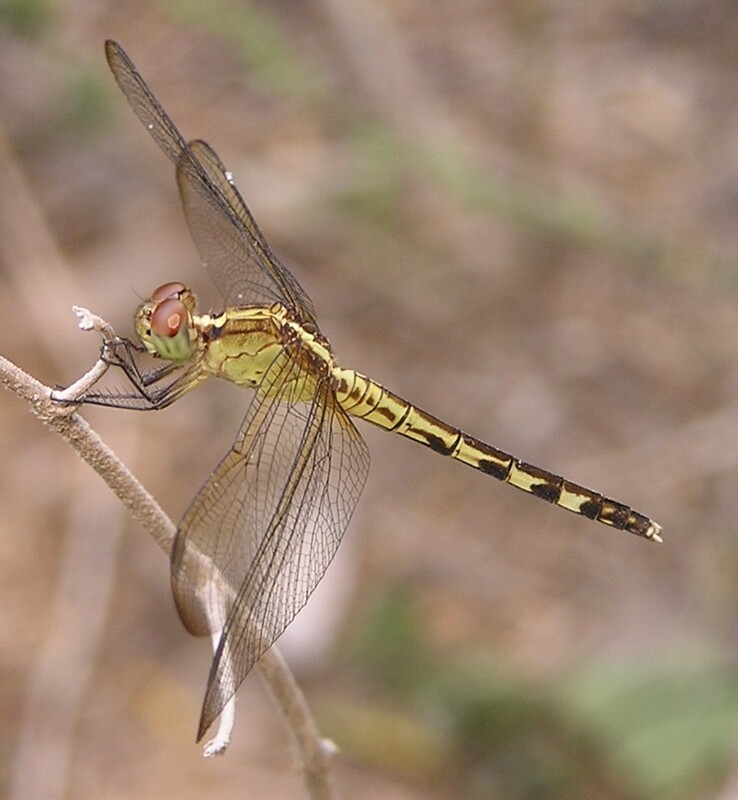 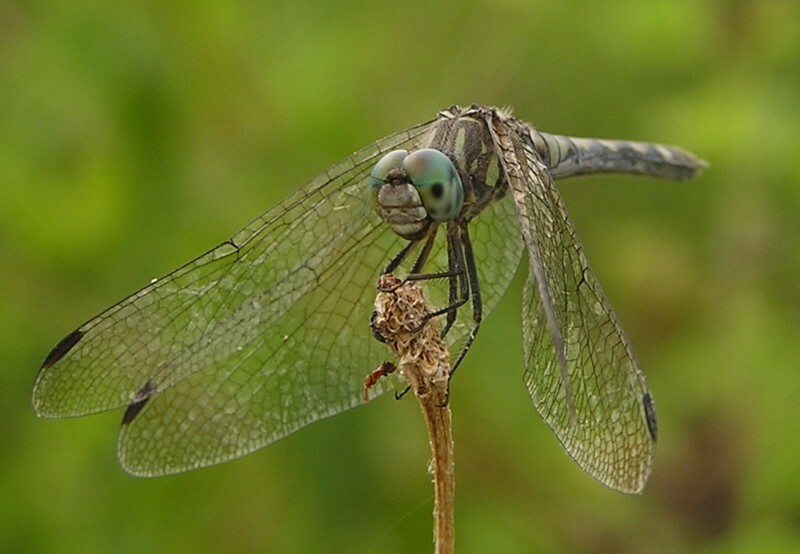 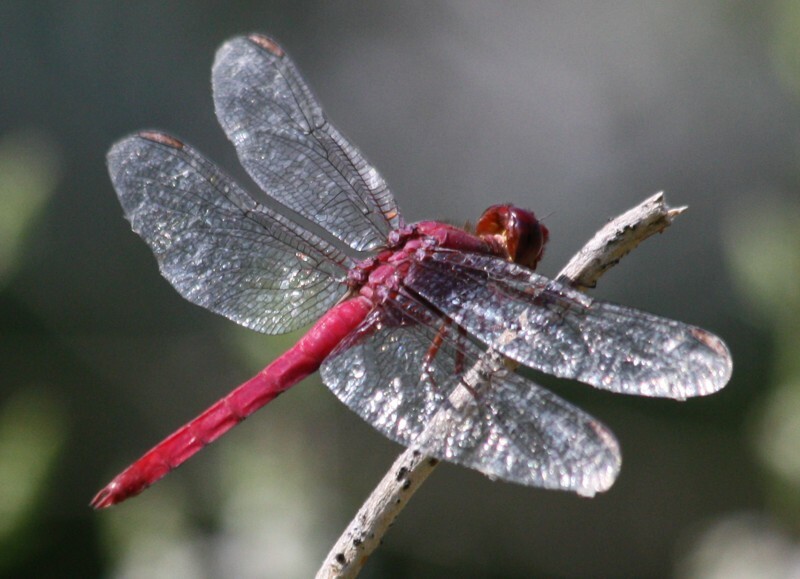 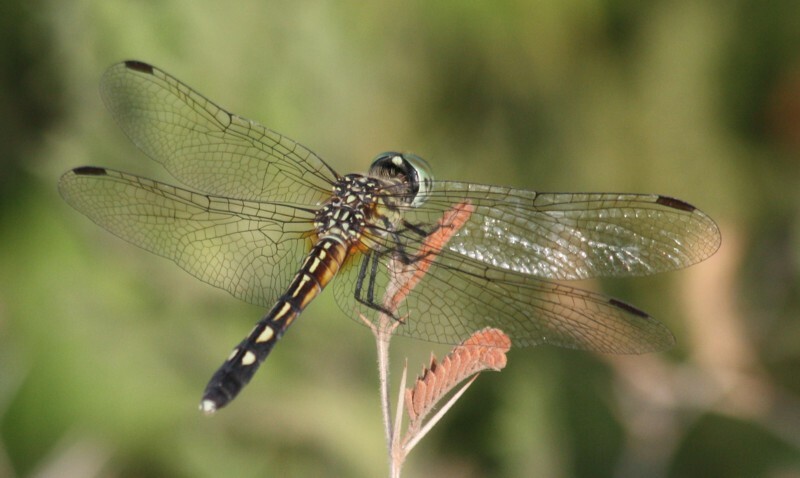 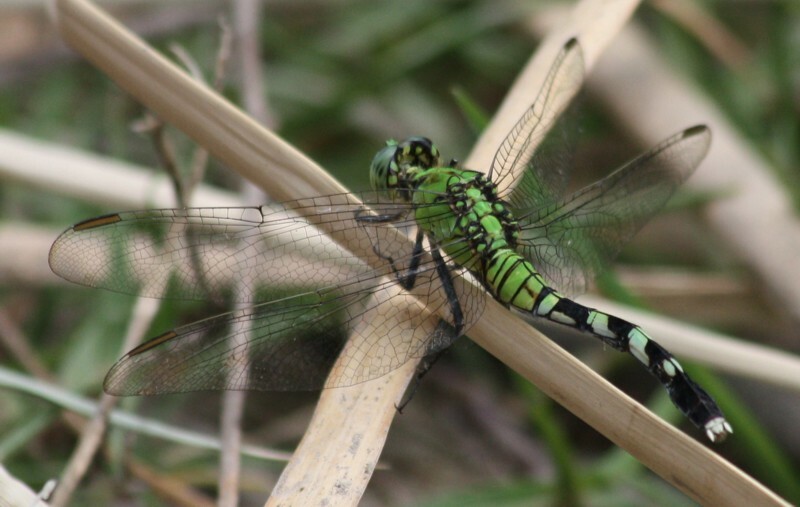 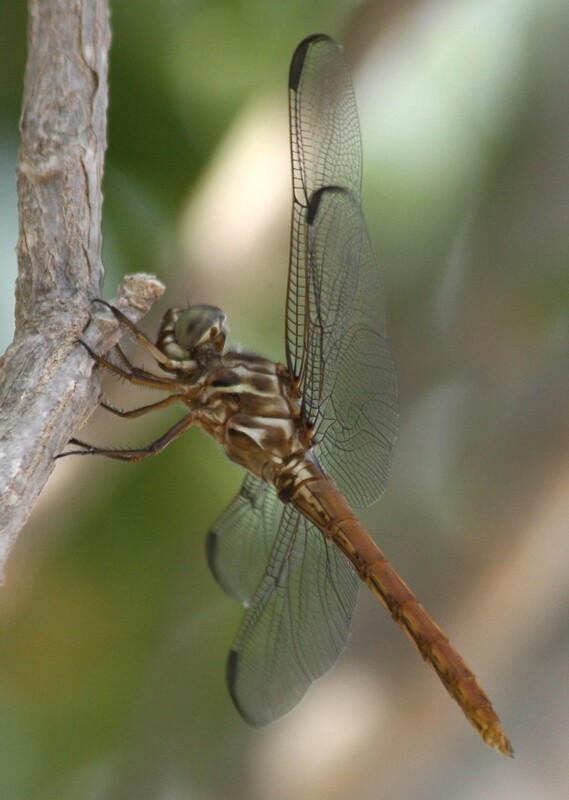 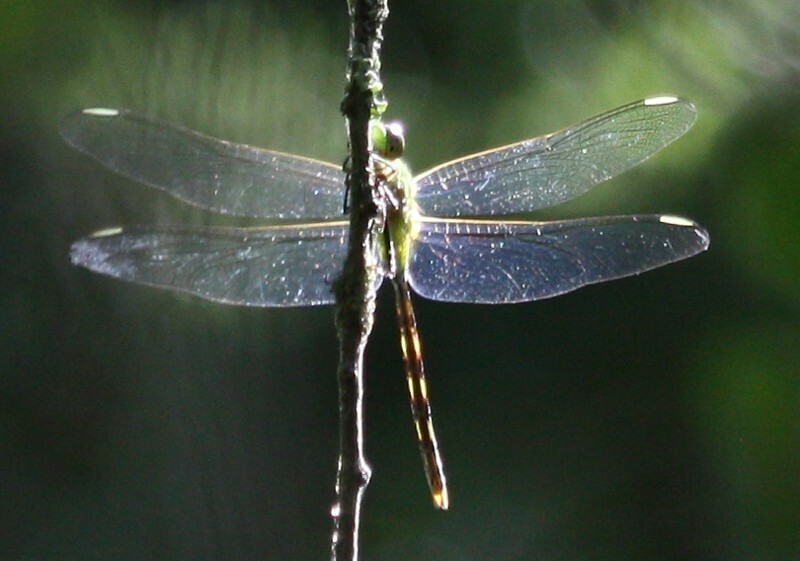 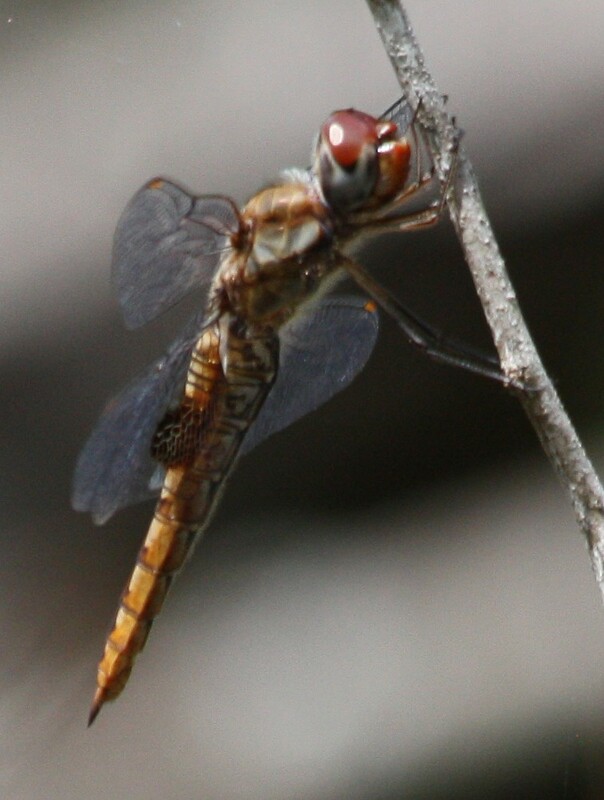 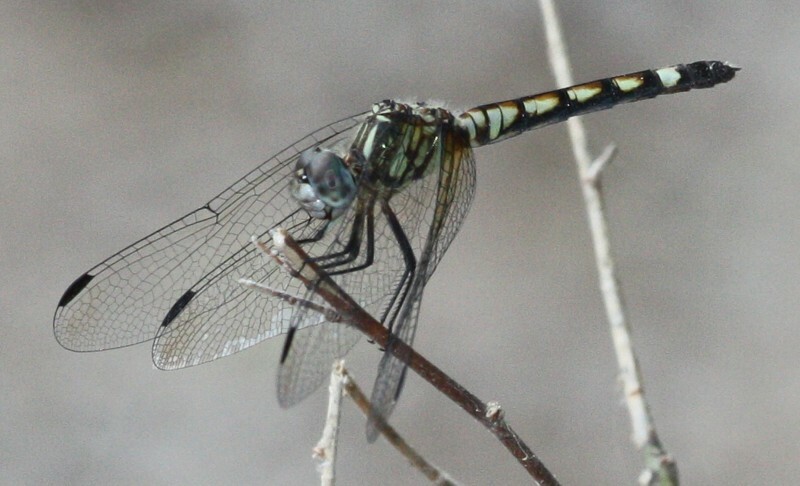 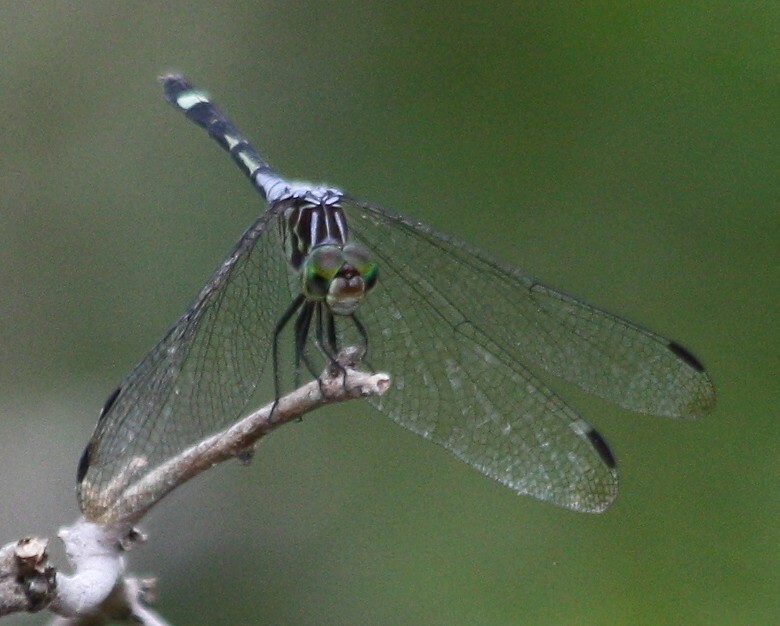 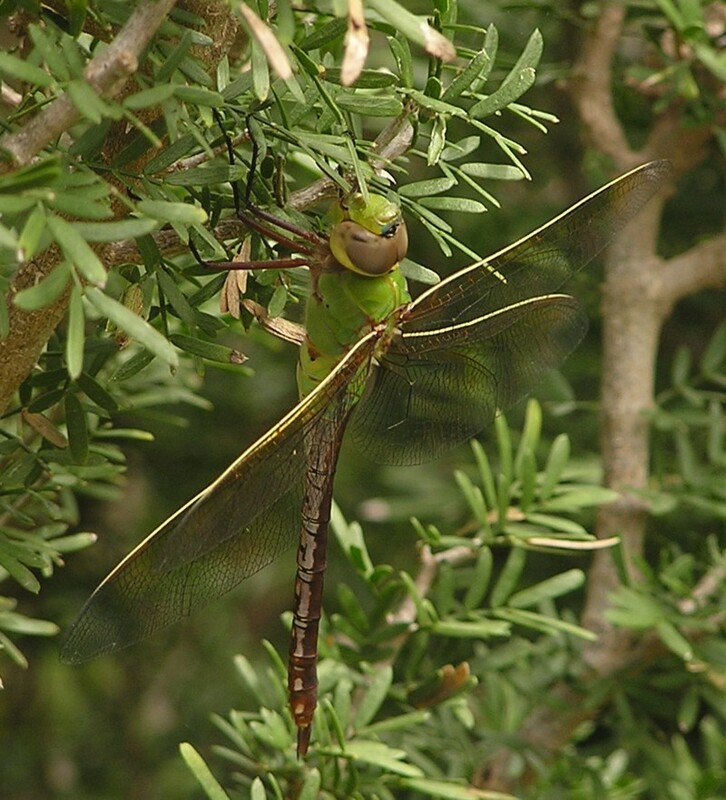 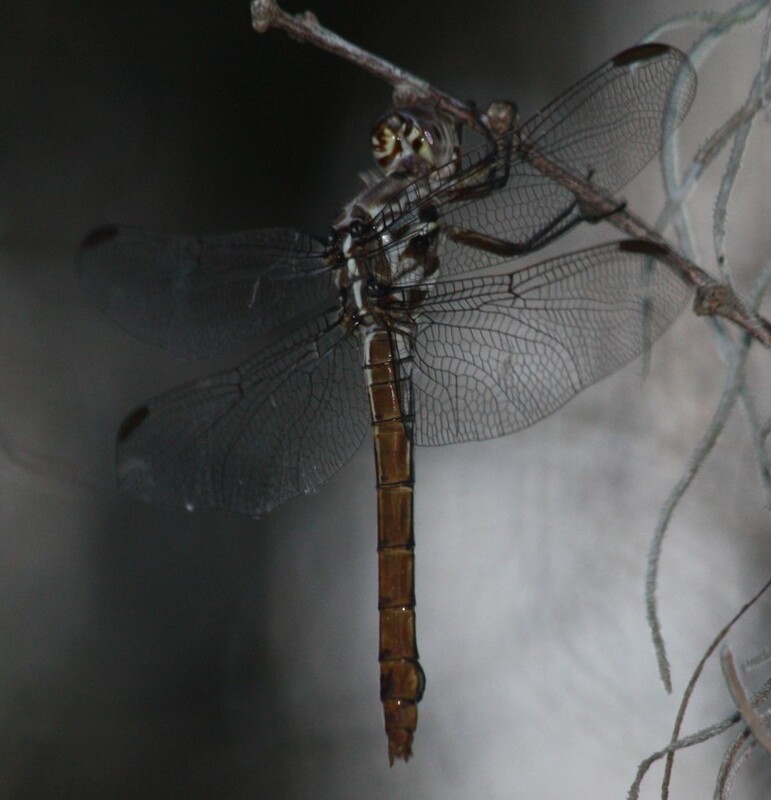 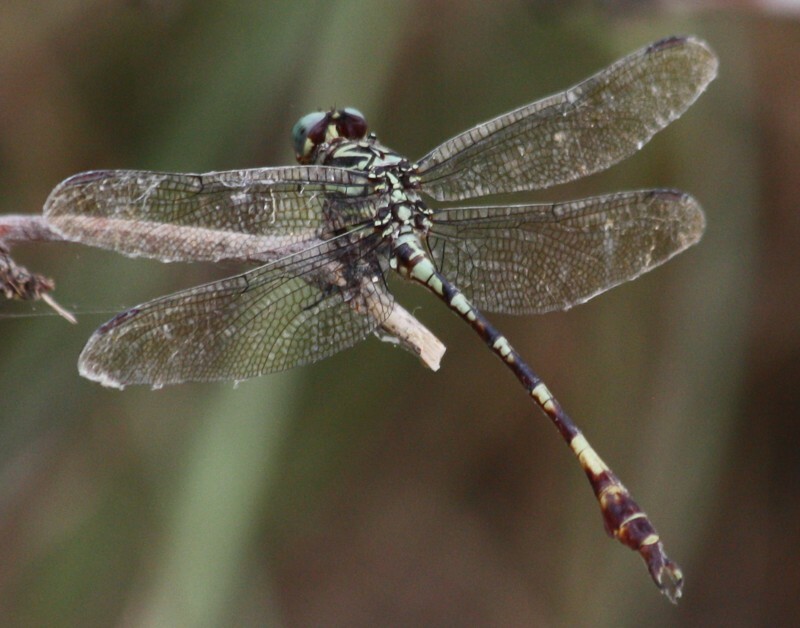 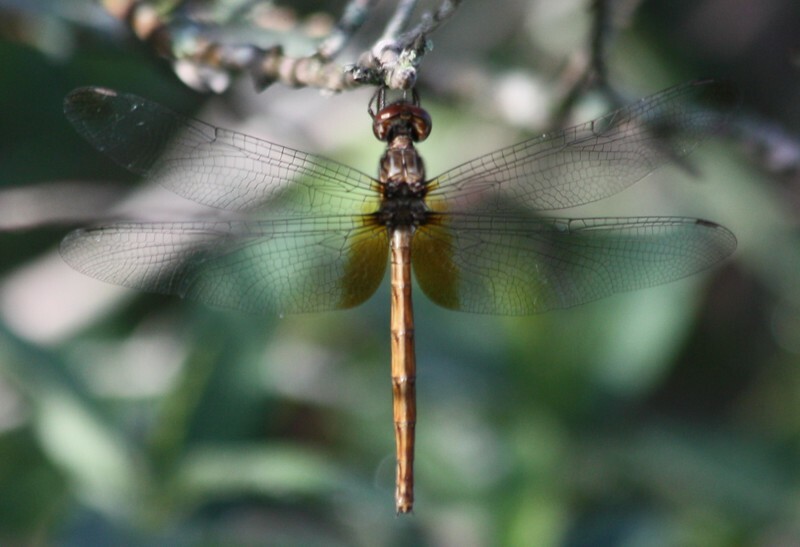 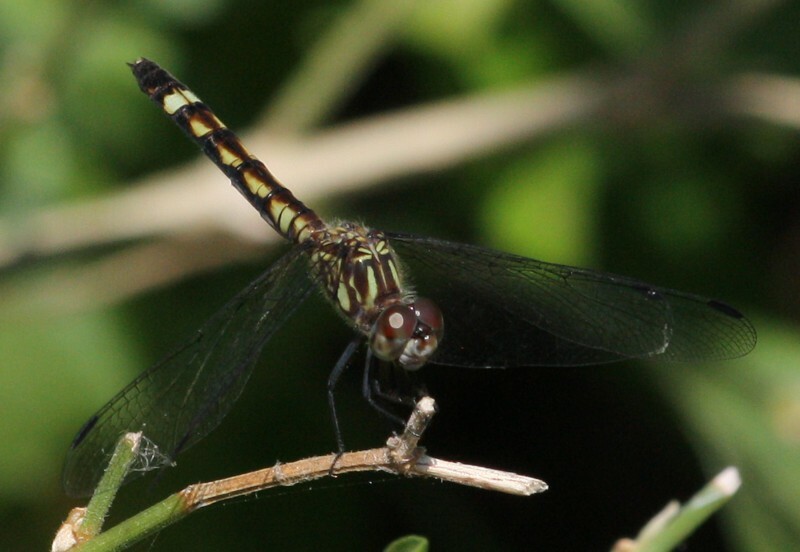 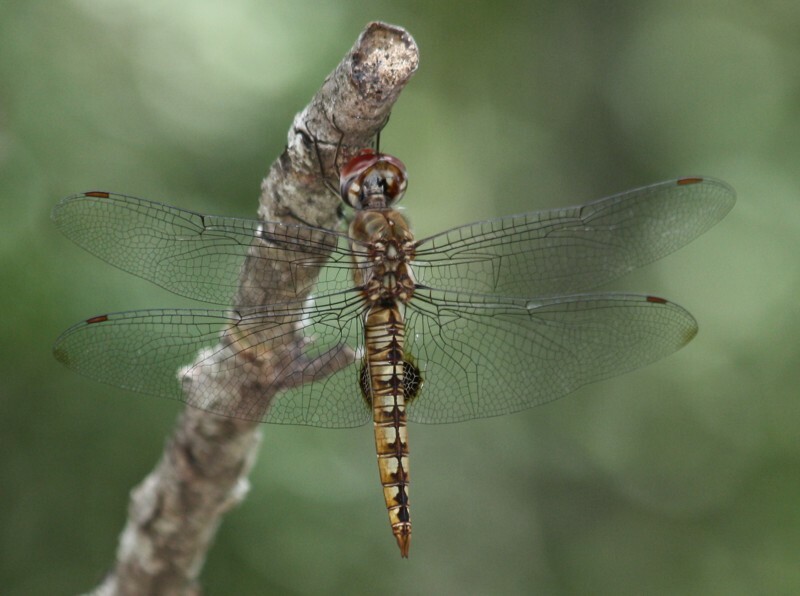 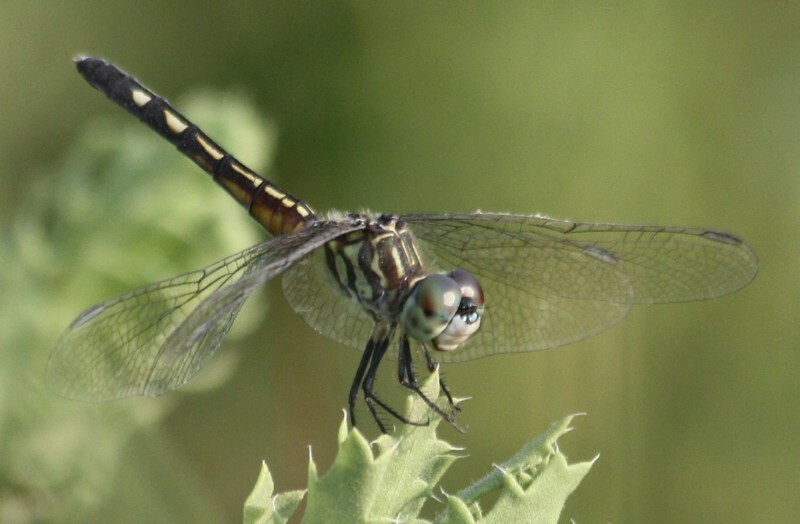 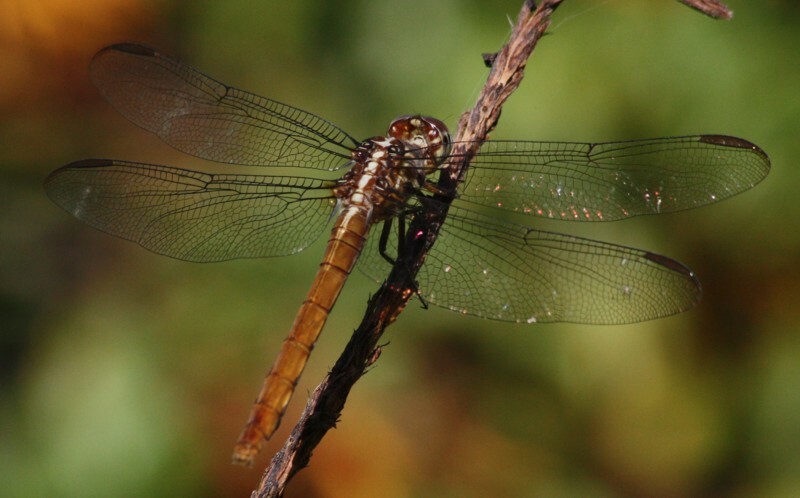 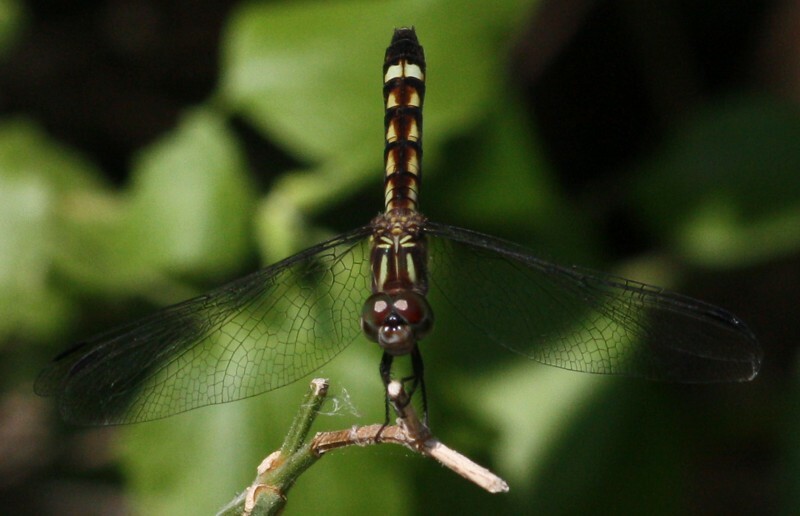 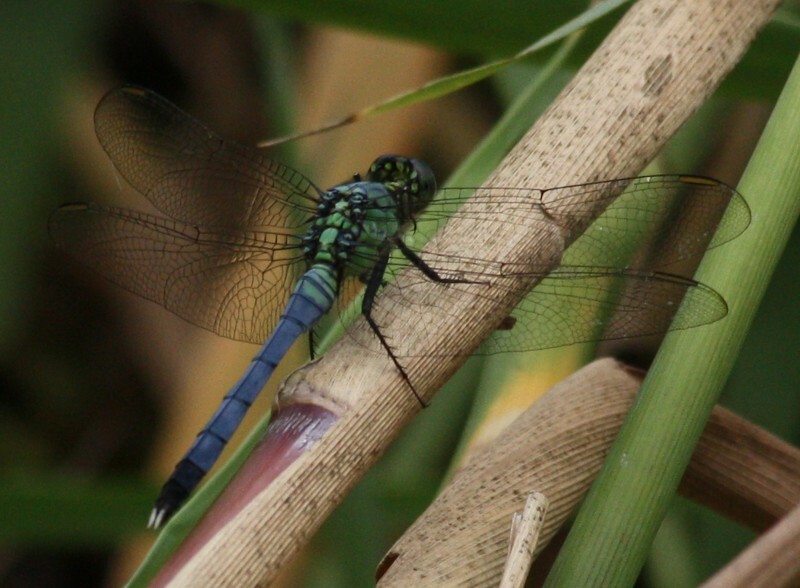 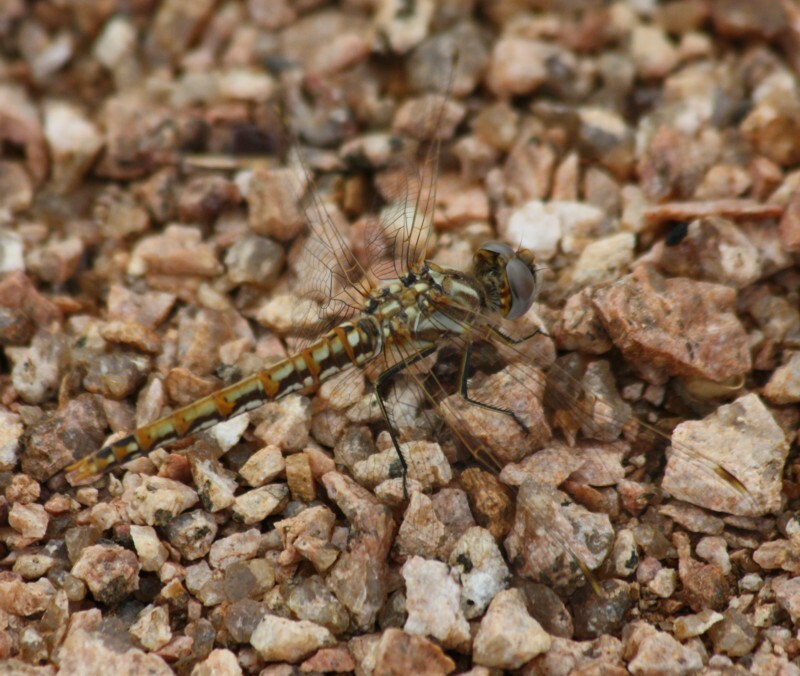 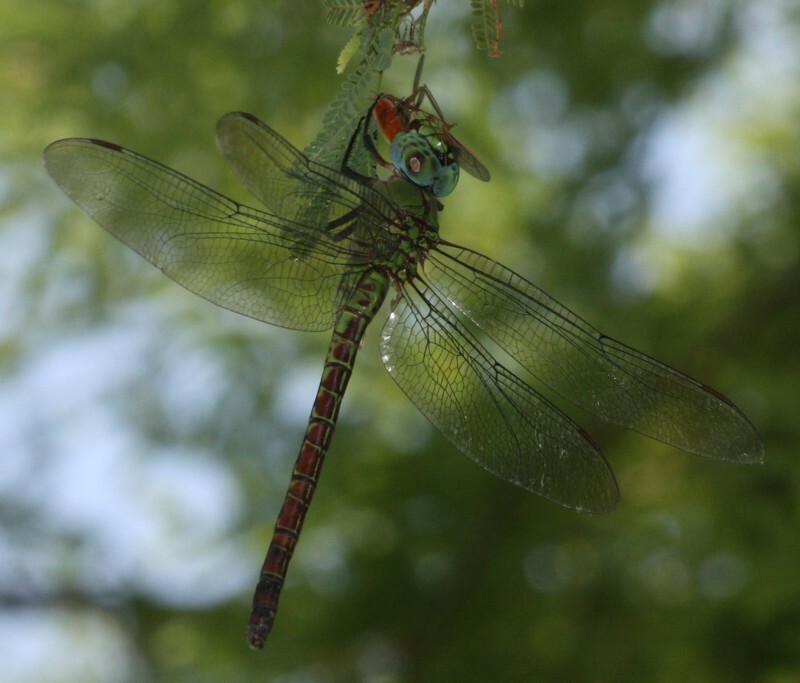 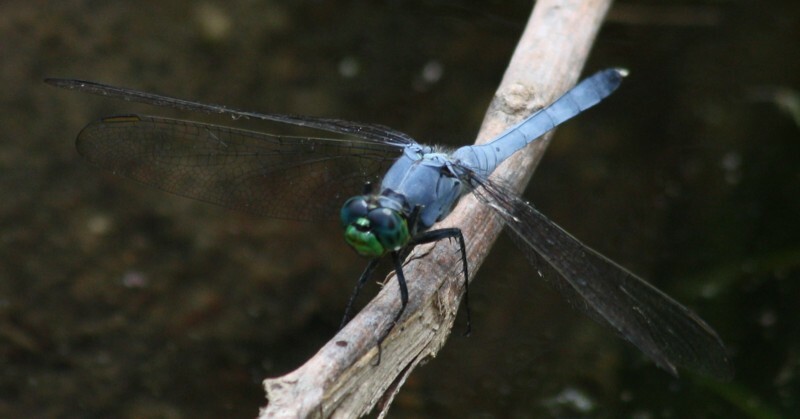 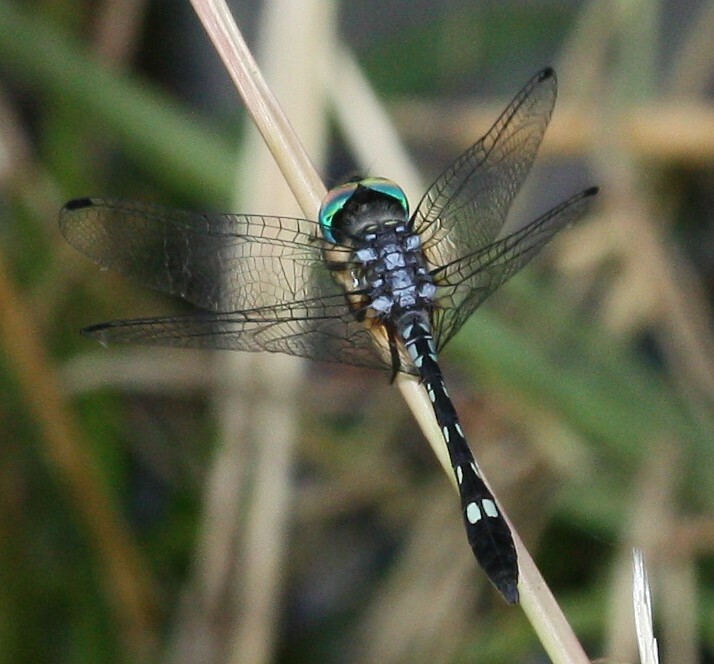 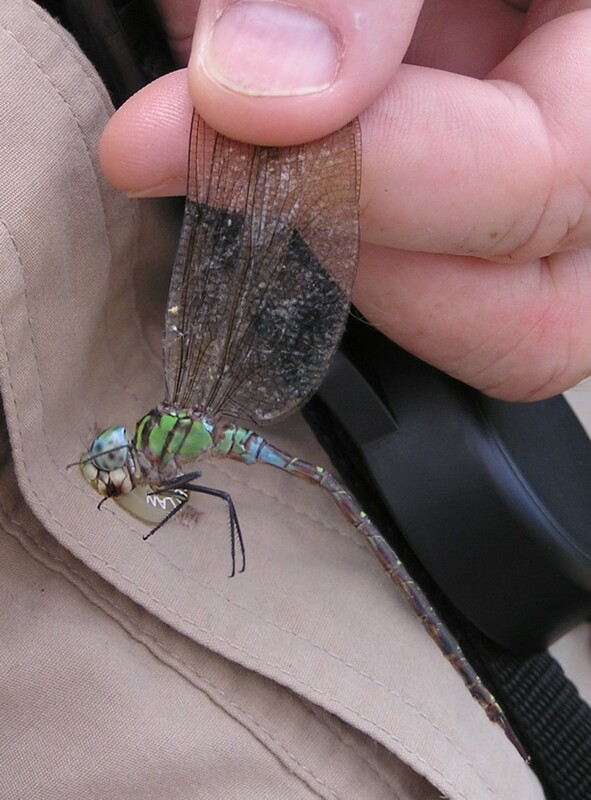 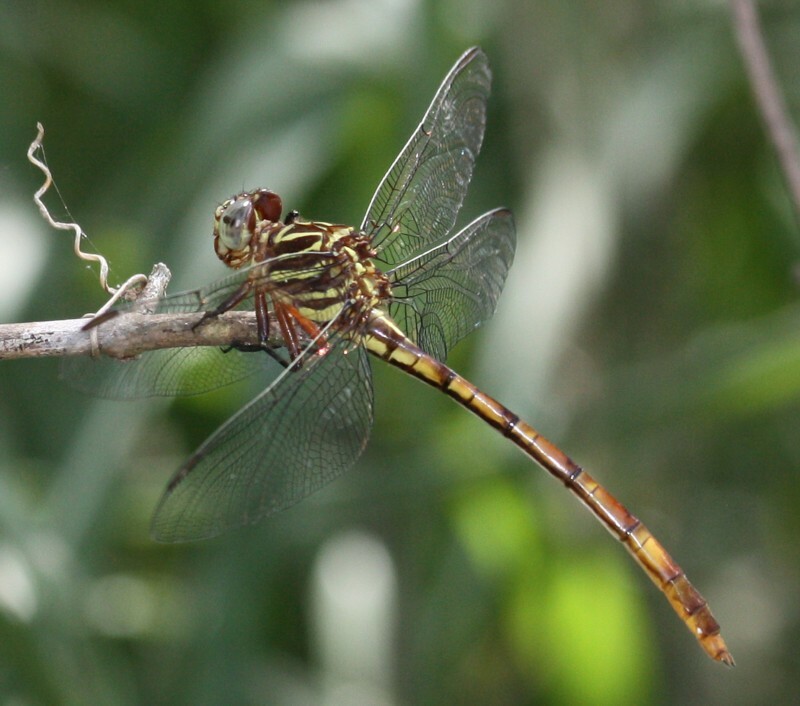 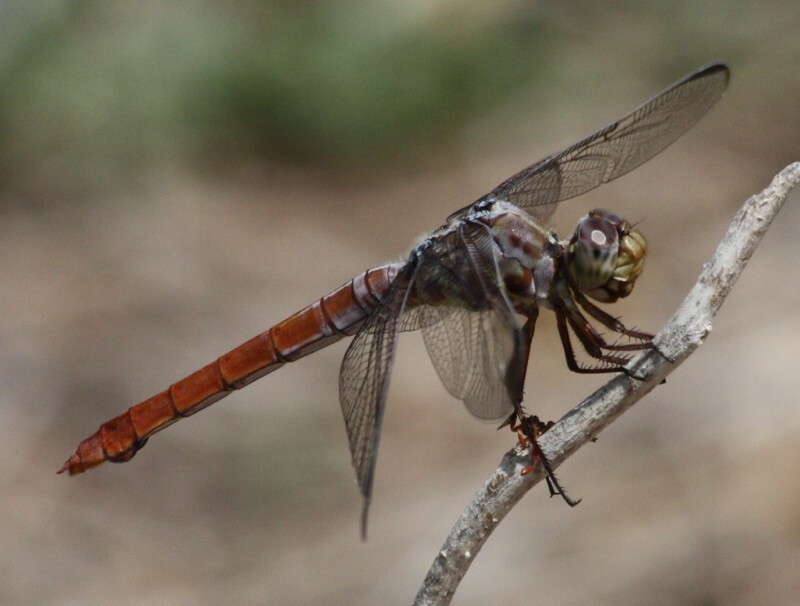 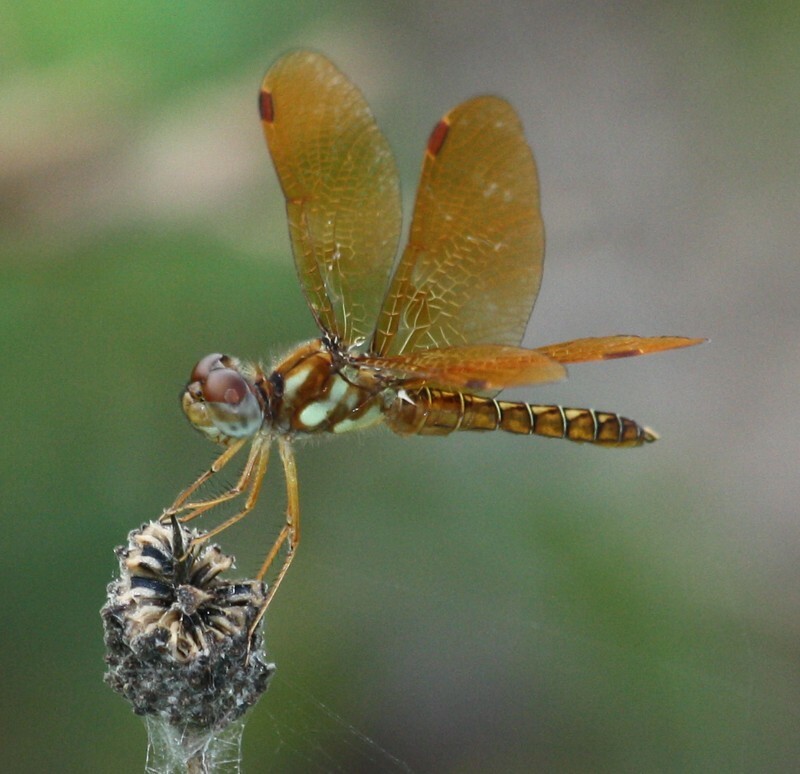 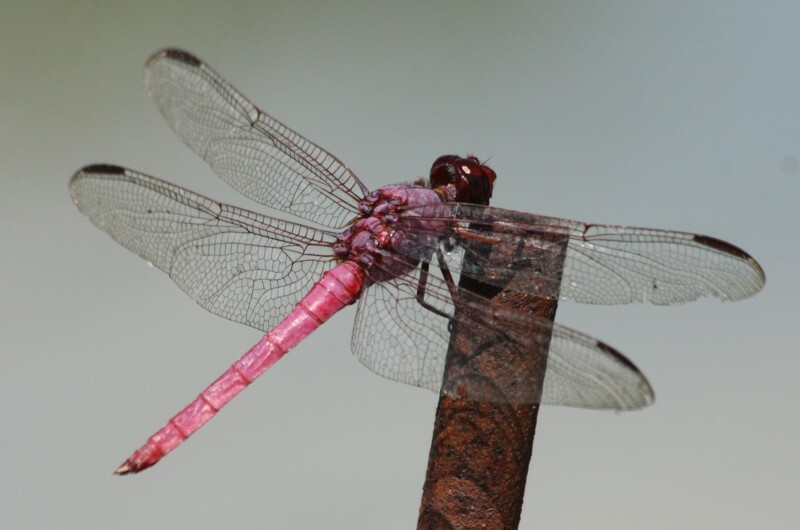 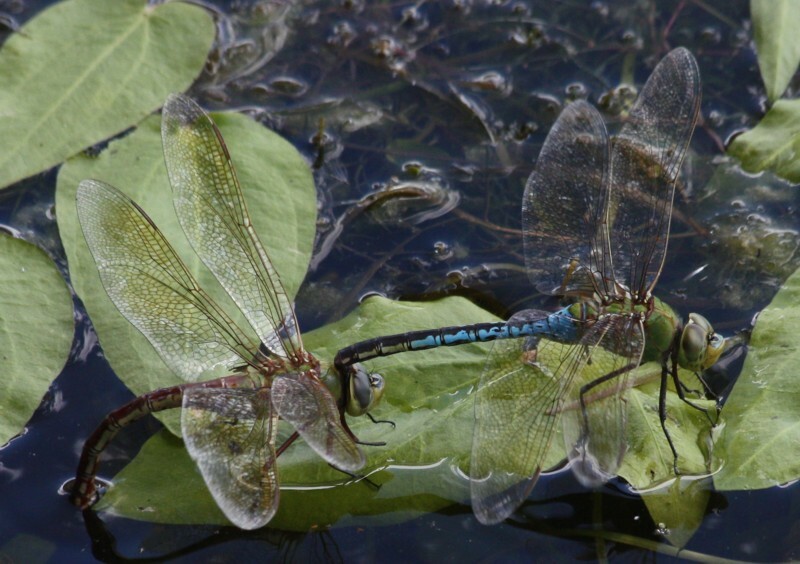 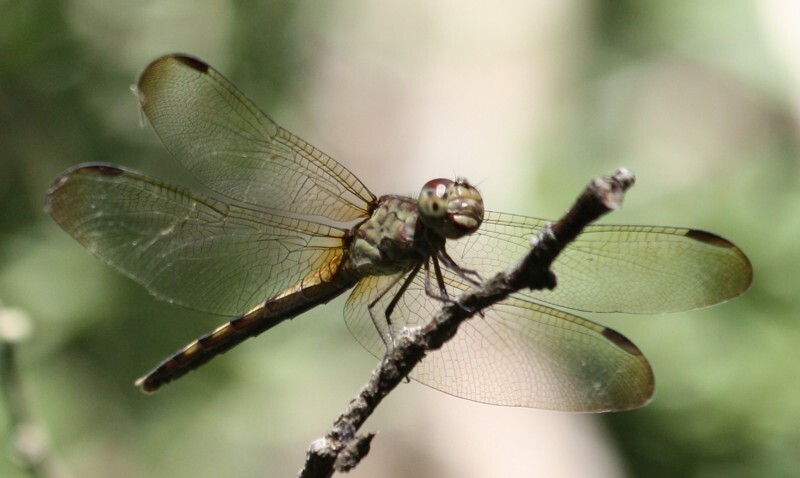 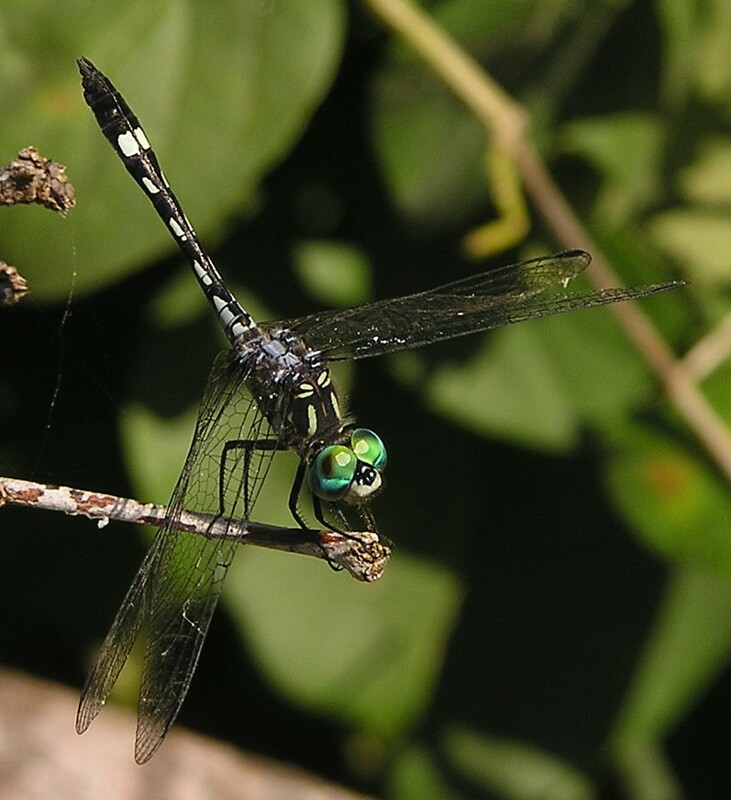 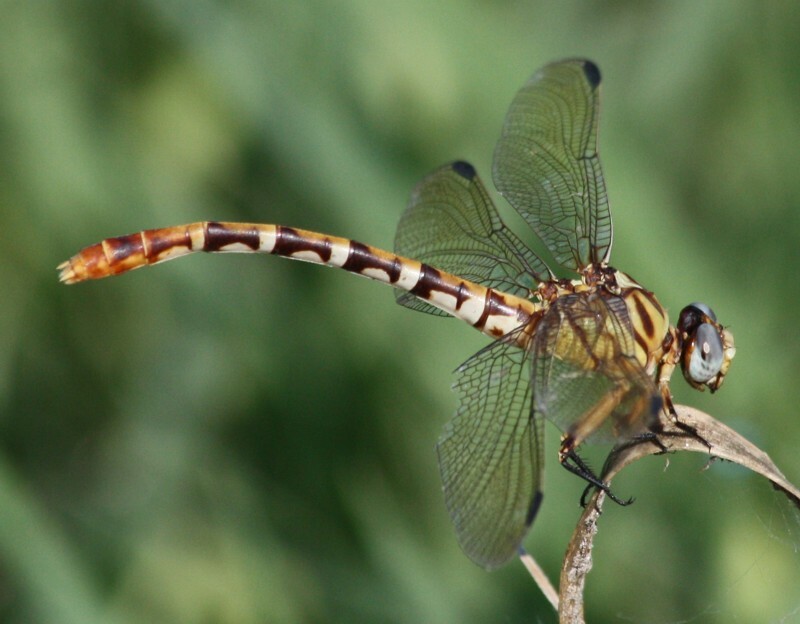 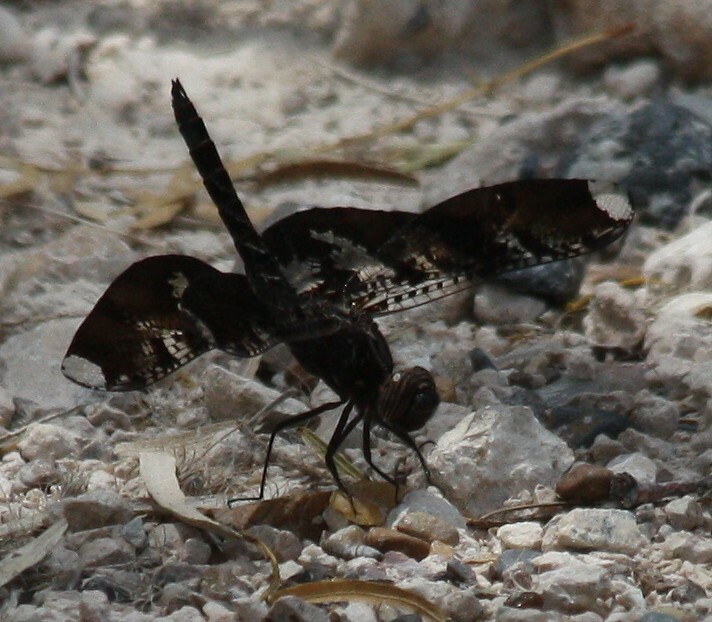 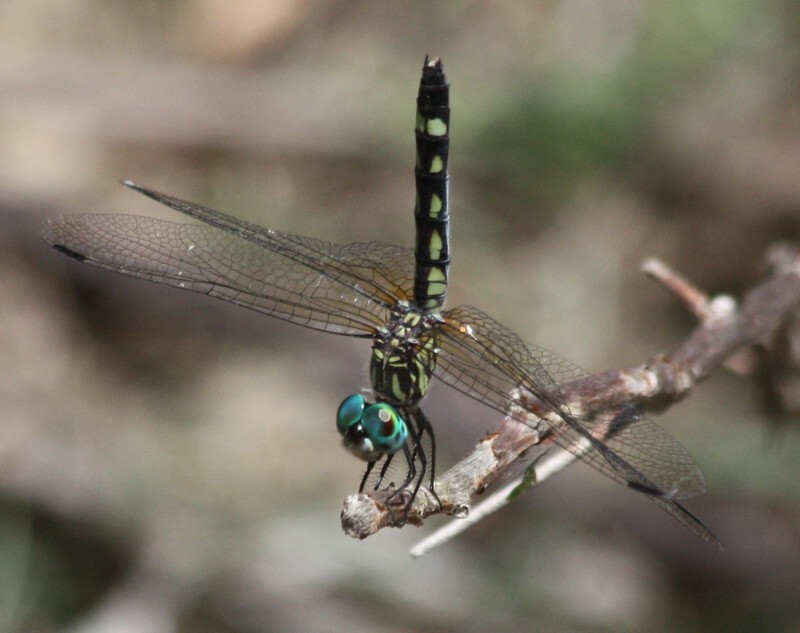 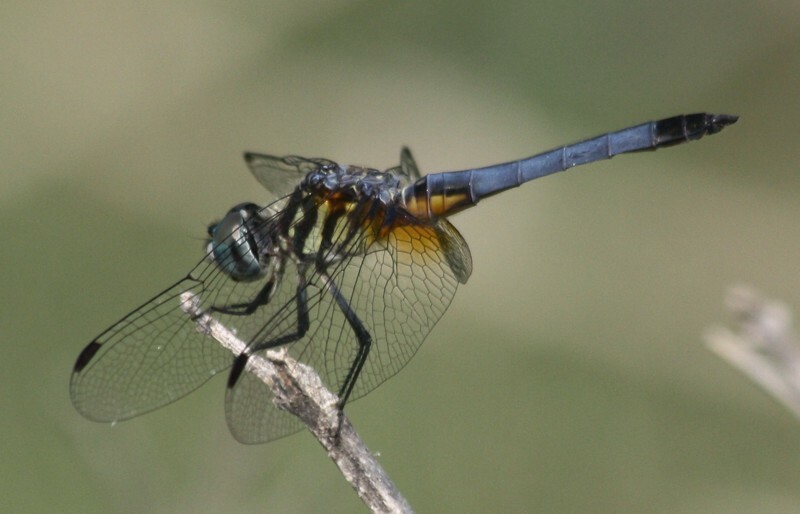 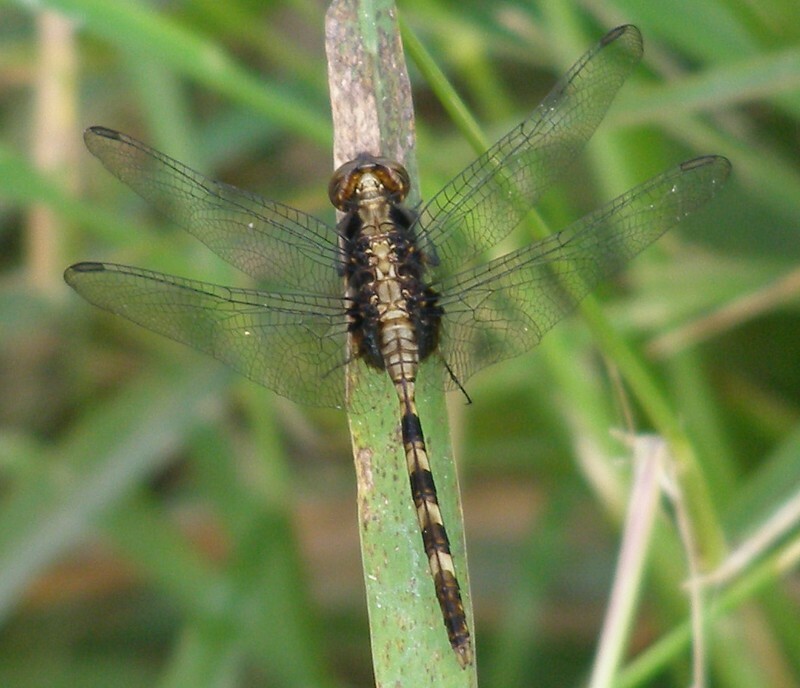 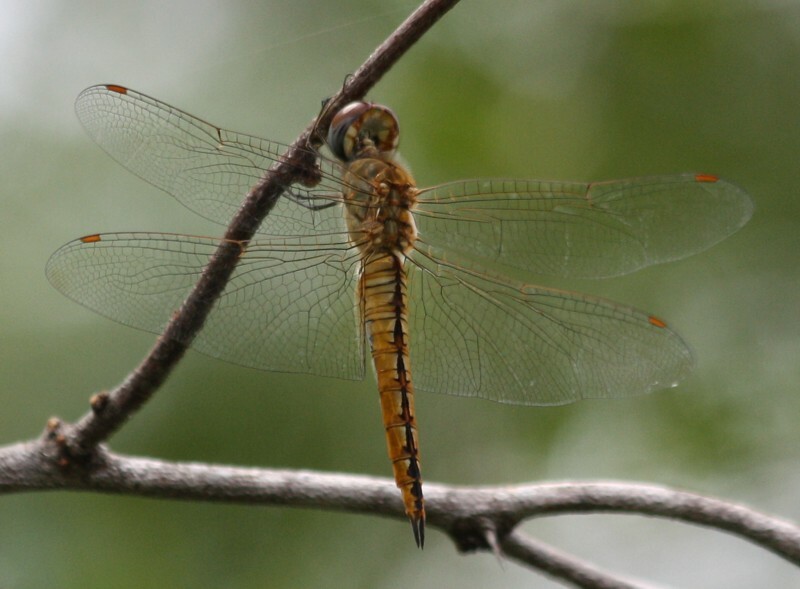 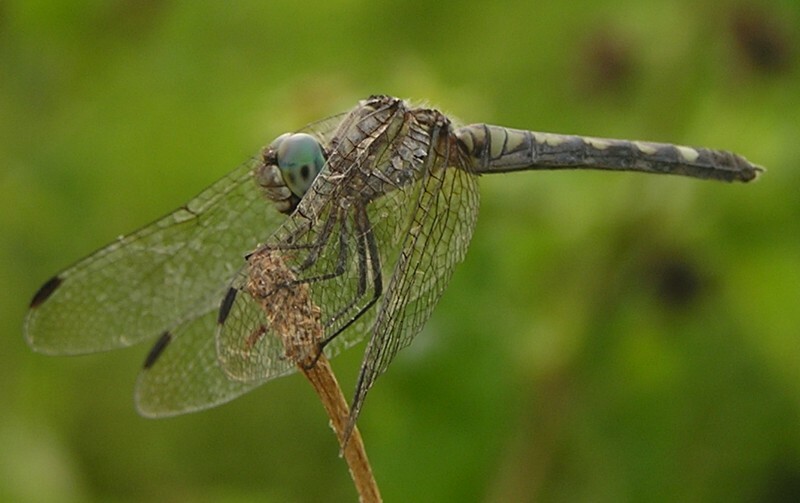 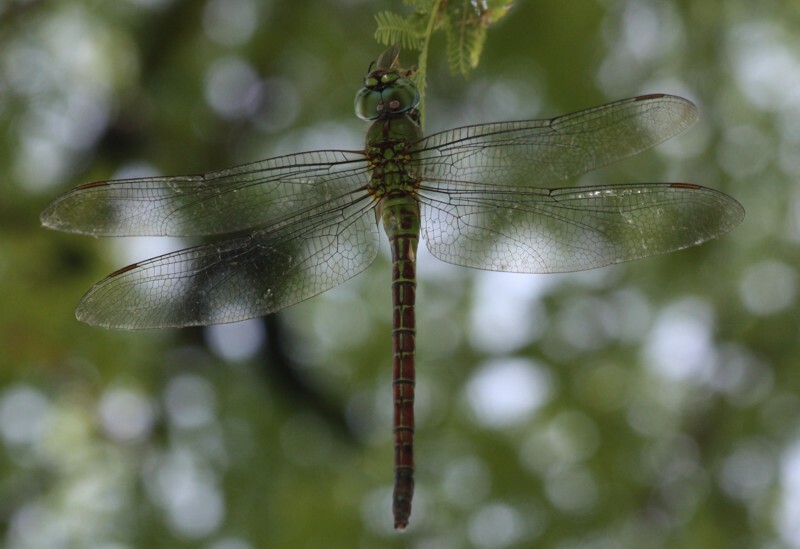 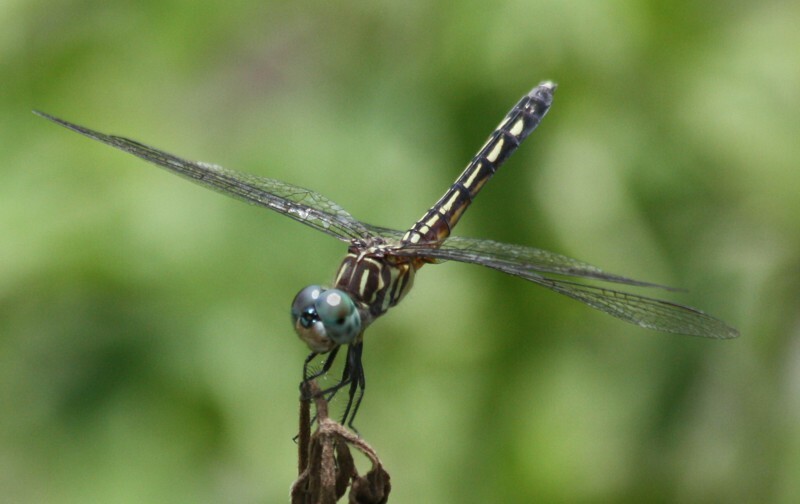 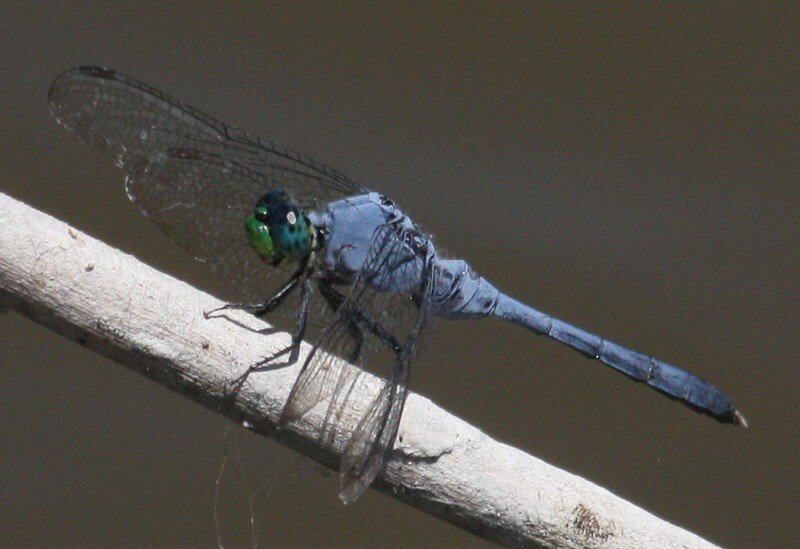 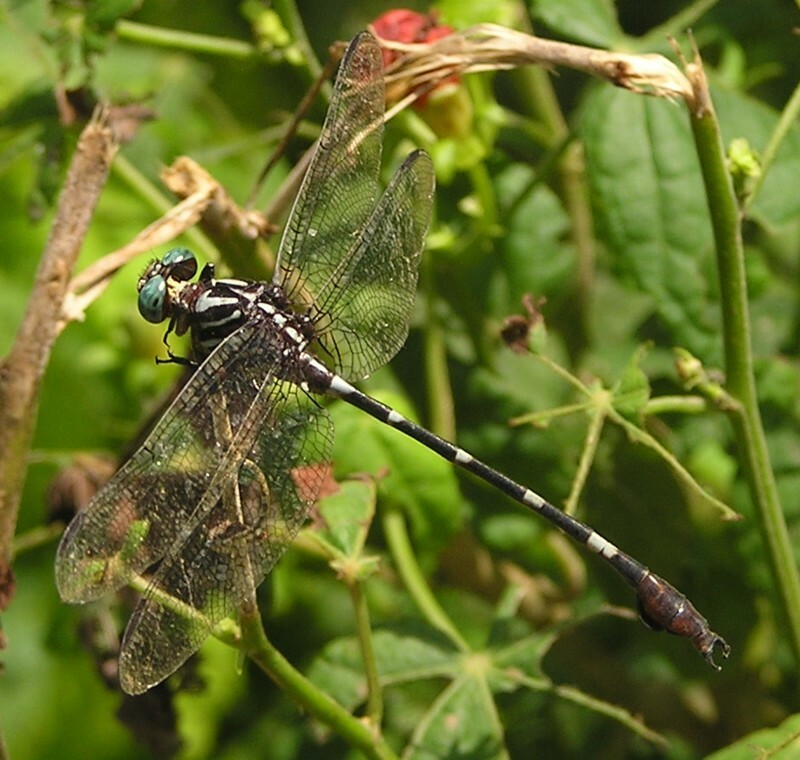 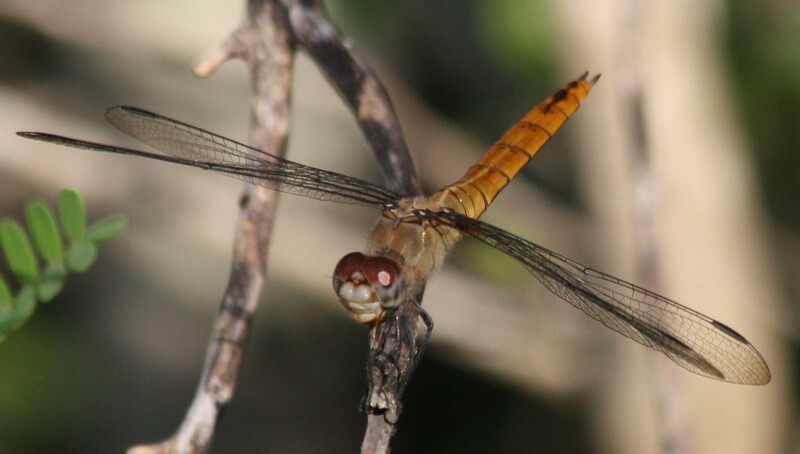 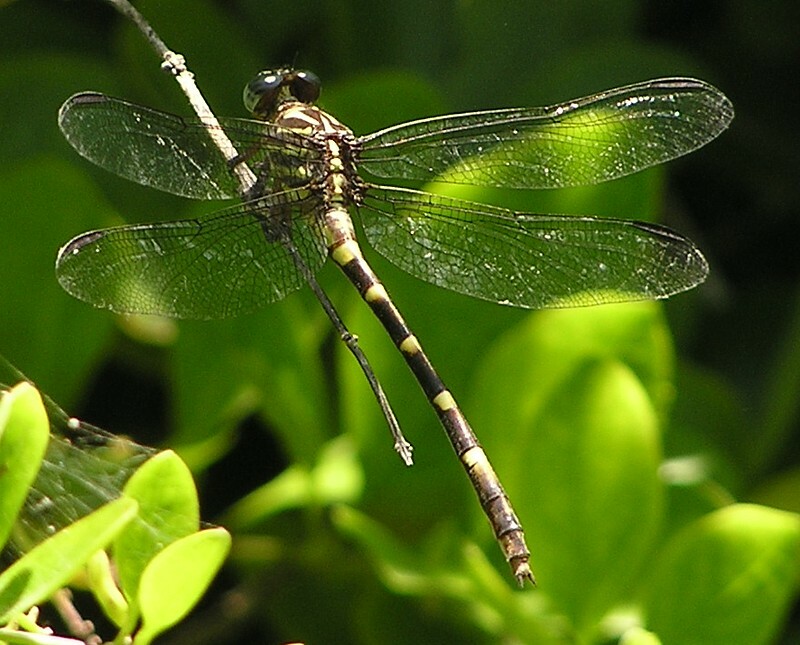 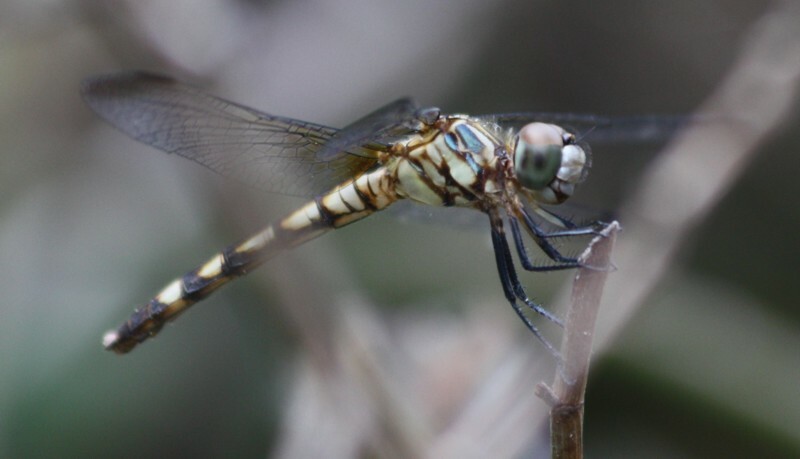 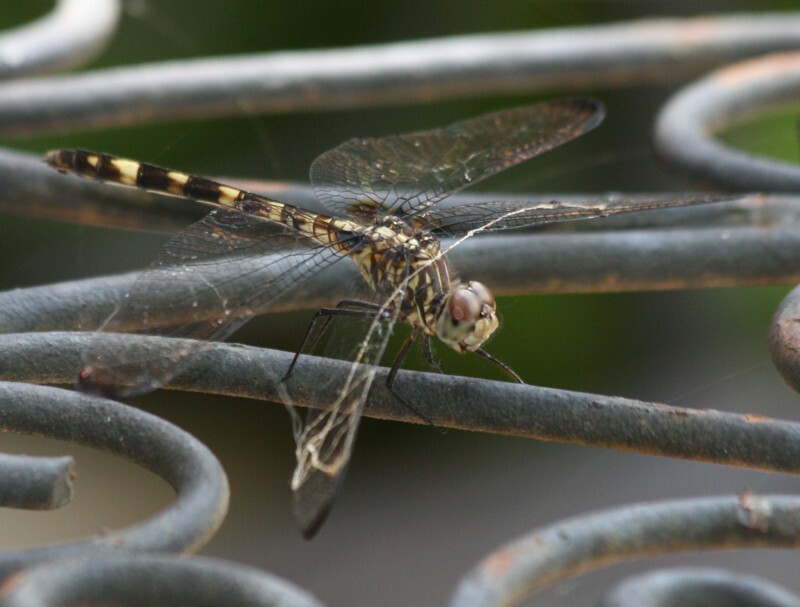 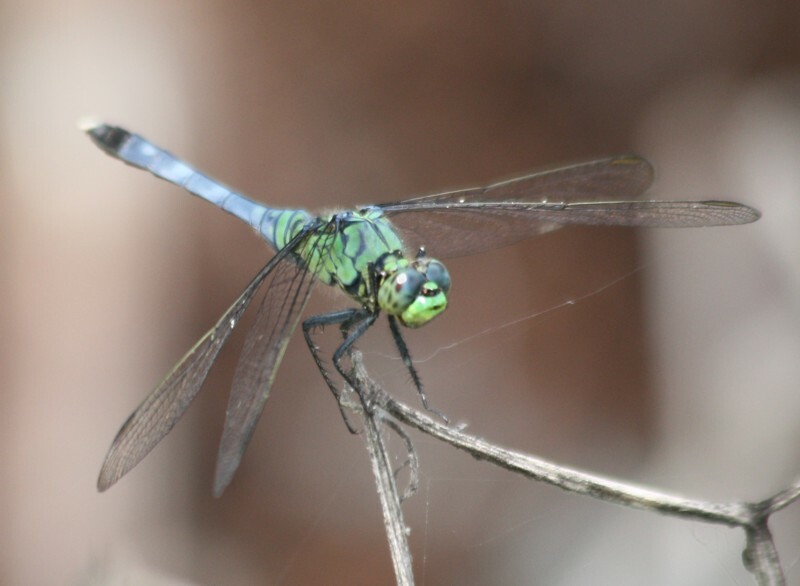 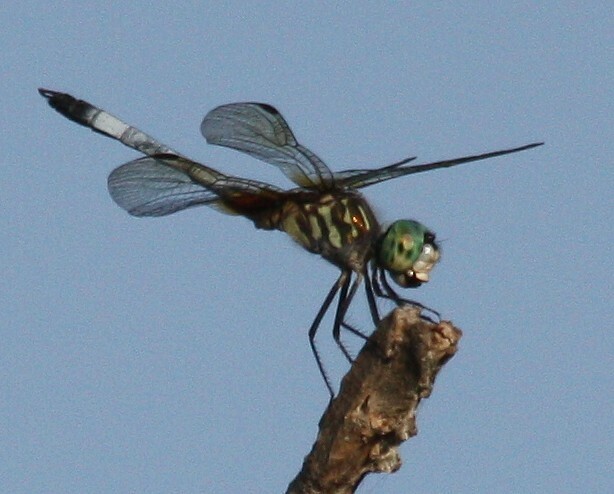 Martin Reid found this Caribbean Darner at Santa Ana NWR, so rare it's not even in the books yet! 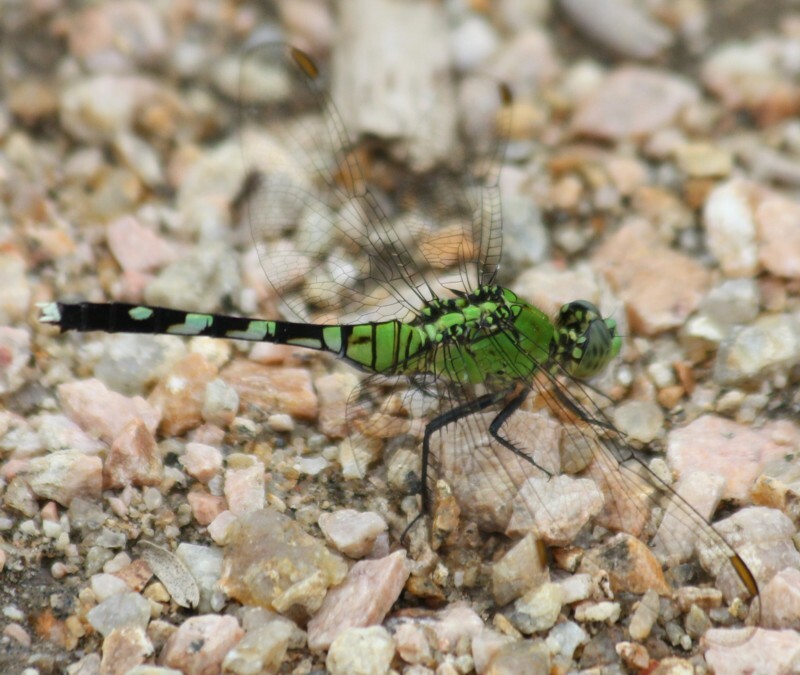 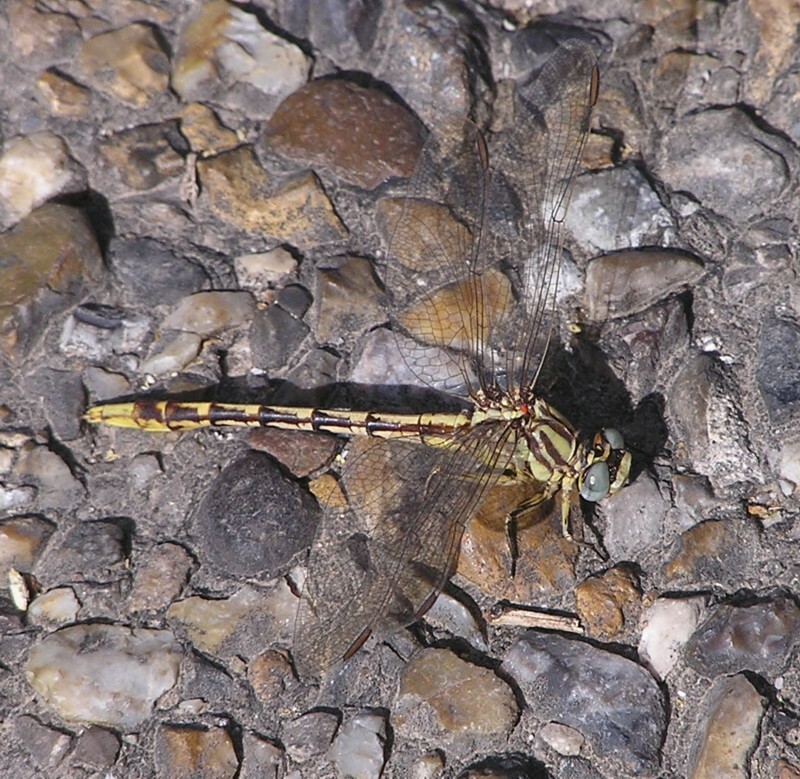 My life Bar-sided Darner along the Green Jay Trail, Estero Llano Grande SP (right shot not all that hot, but you can see the two dots on the side of the thorax). 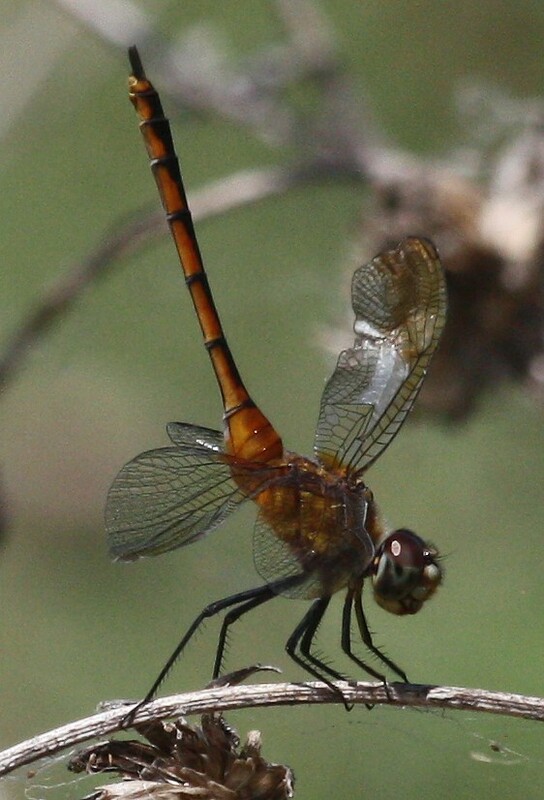 Female Red-tailed Pennant, Falcon SP (Starr Co.) Could the one on the left actually be a young male? 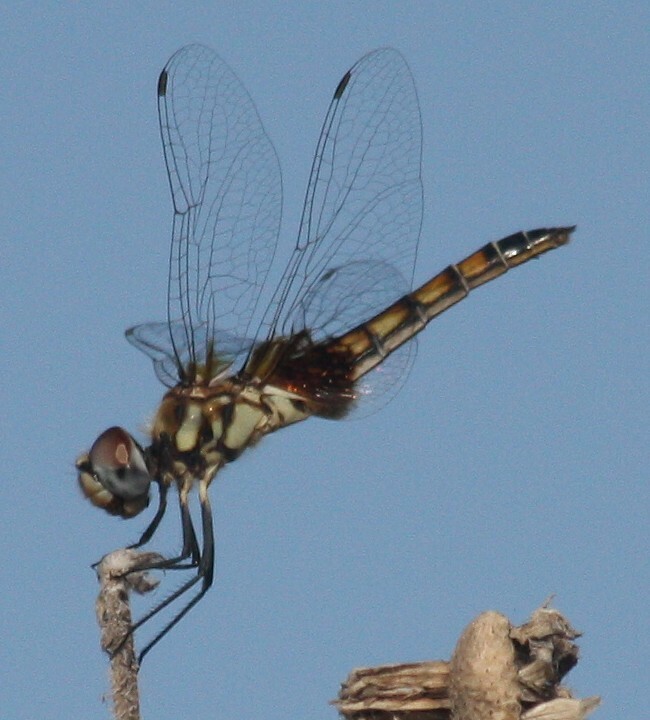 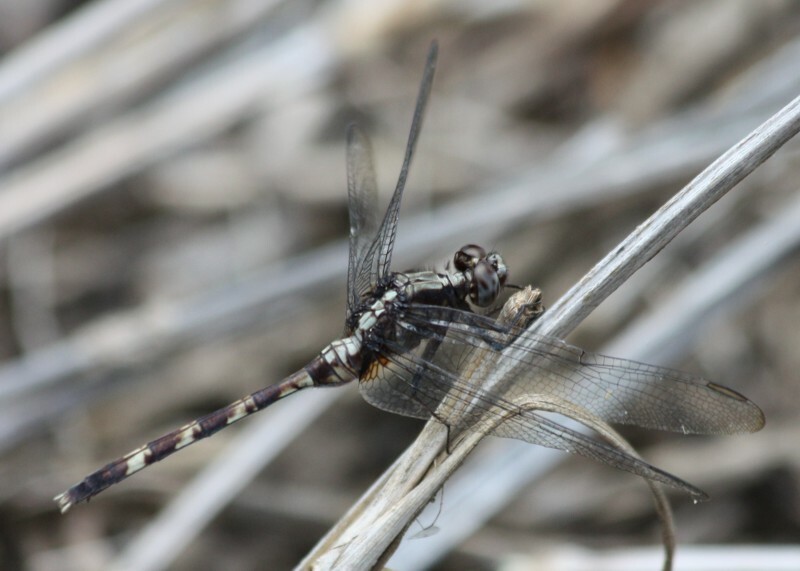 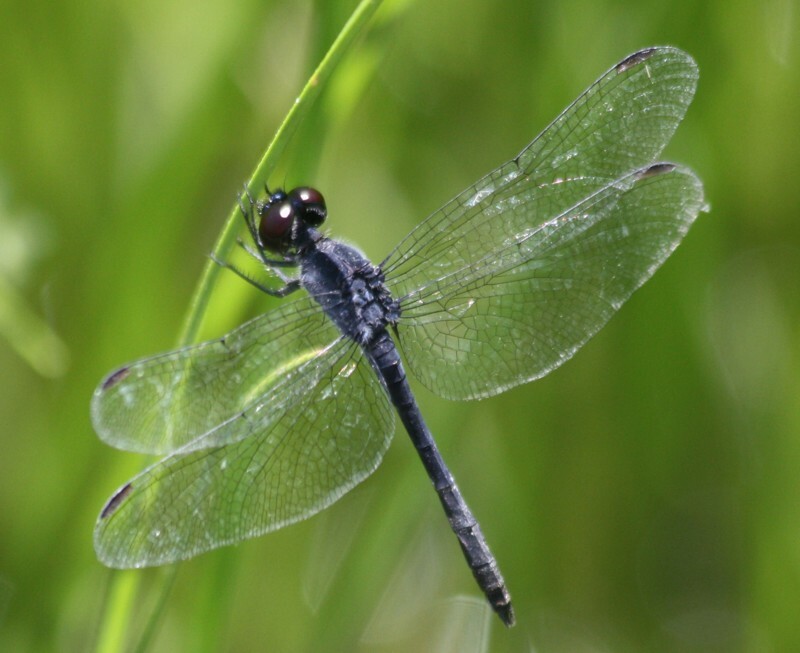 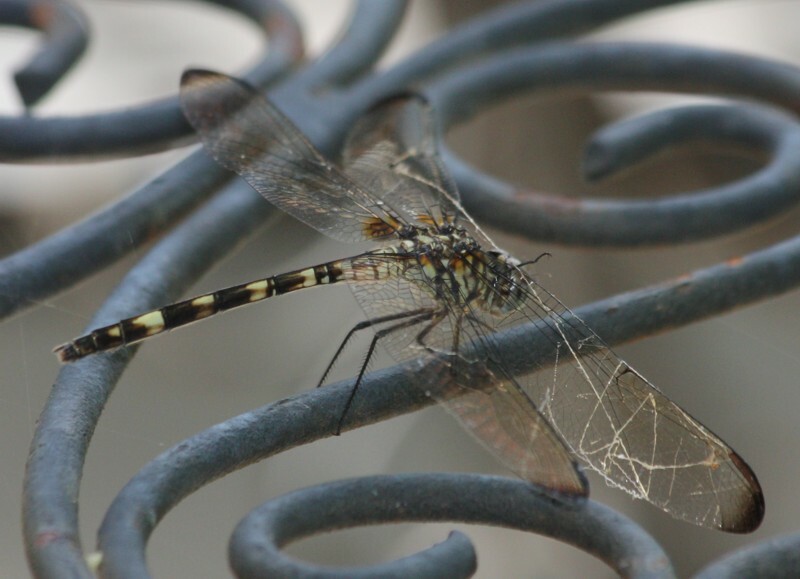 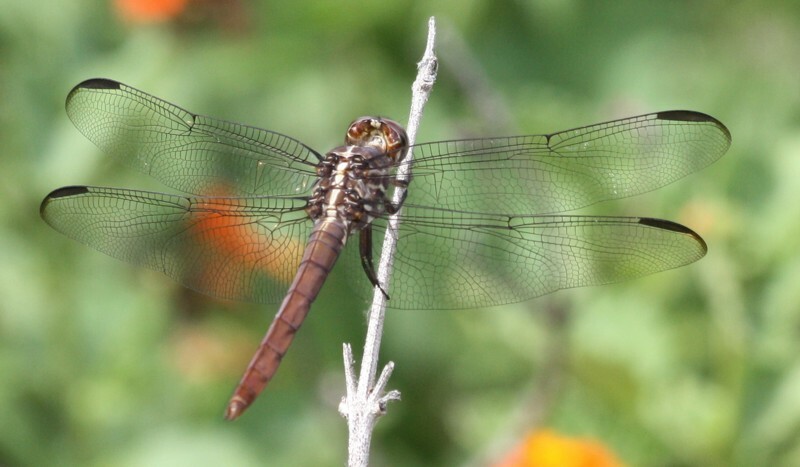 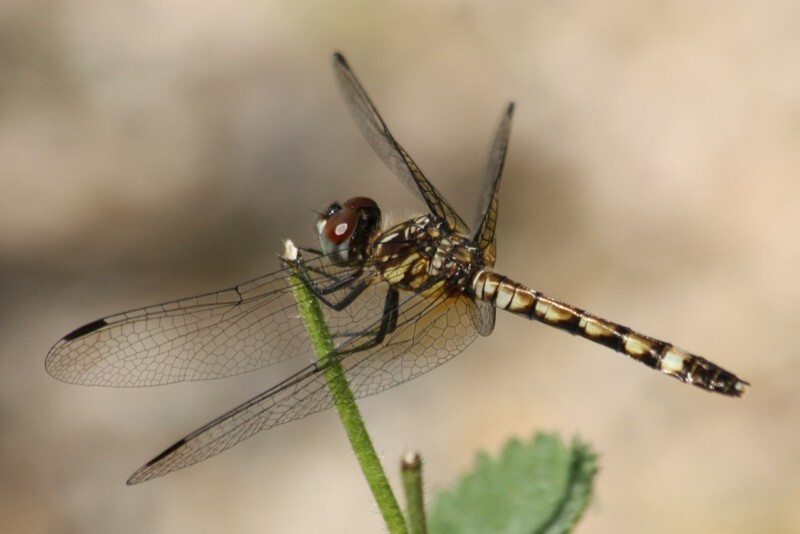 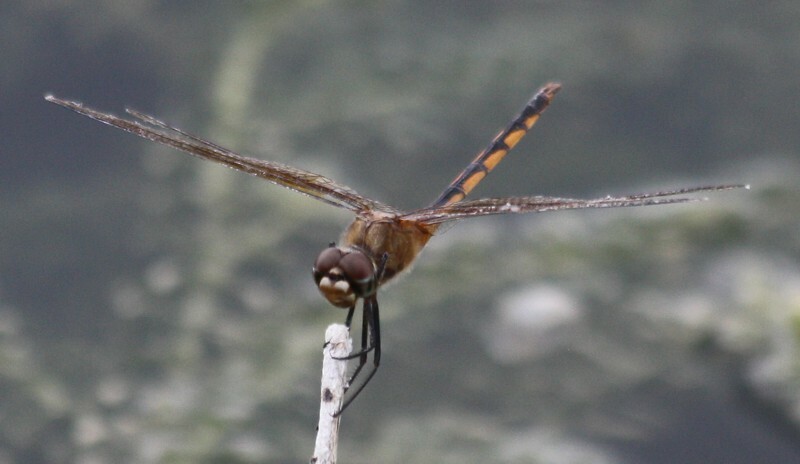 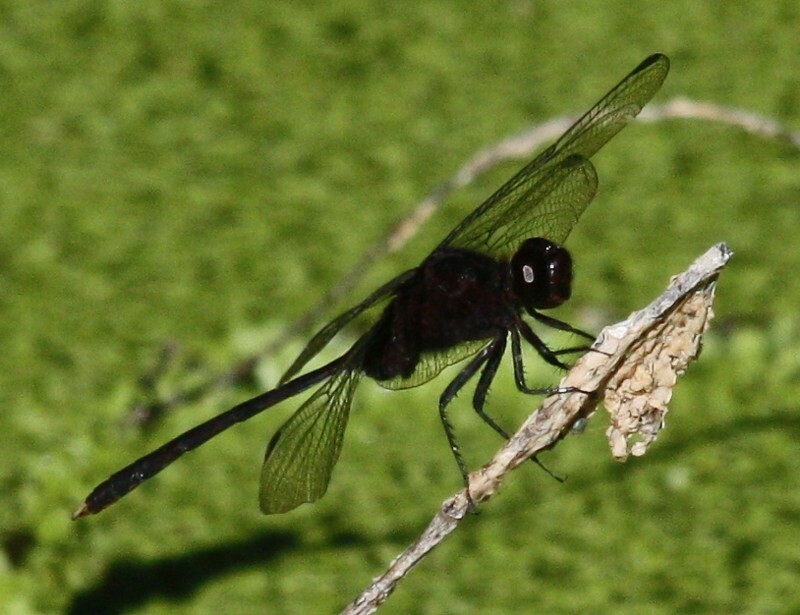 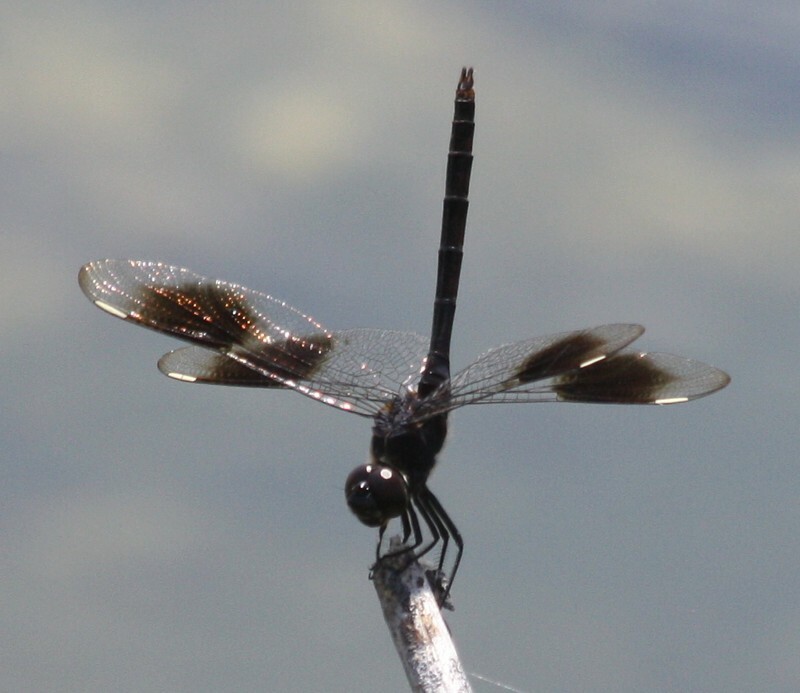 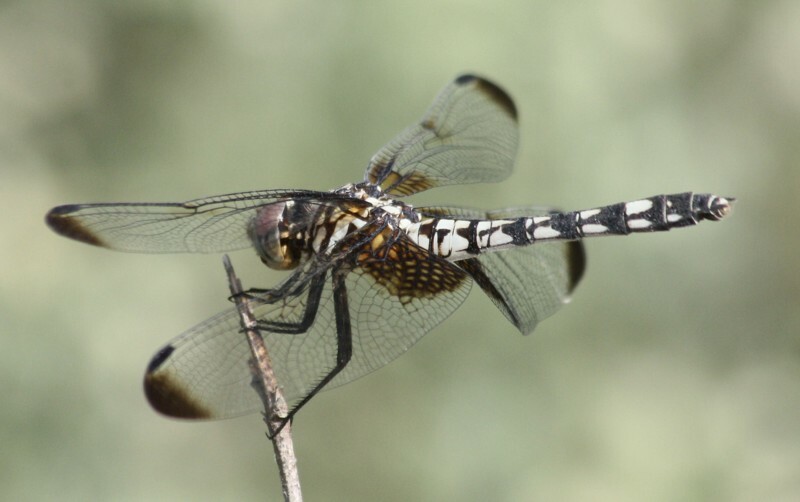 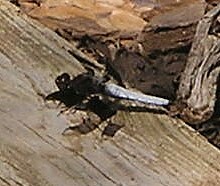 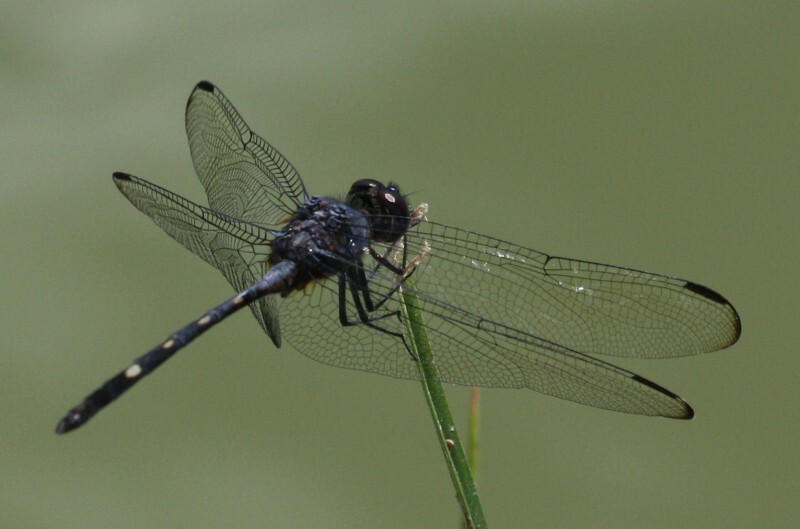 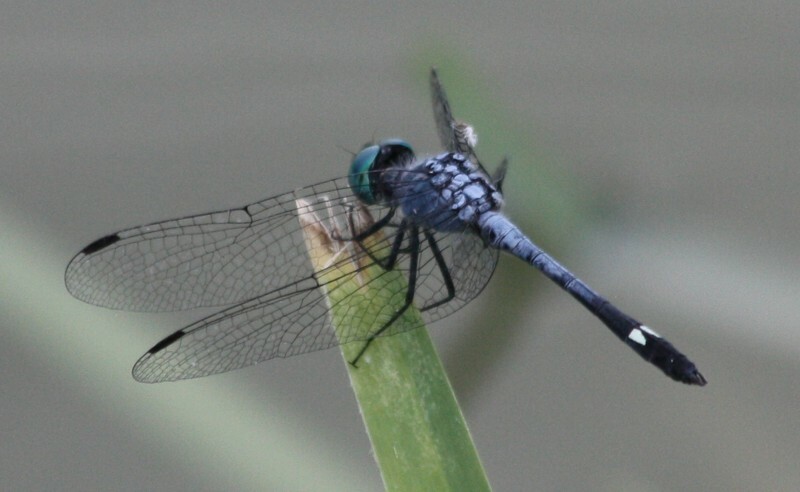 Normally only found near the coast, this Seaside Dragonlet was hanging out at Estero Llano Grande SP in Hidalgo County; most are jet-black, but like many dragonflies, the males become "pruinose" or more chalky-looking with age. 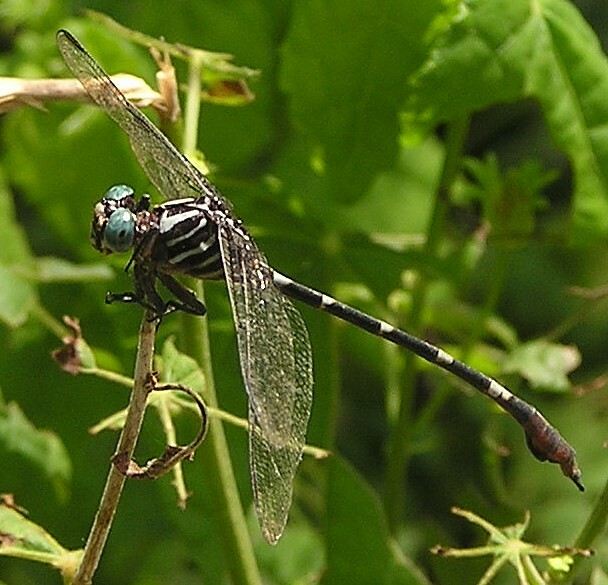 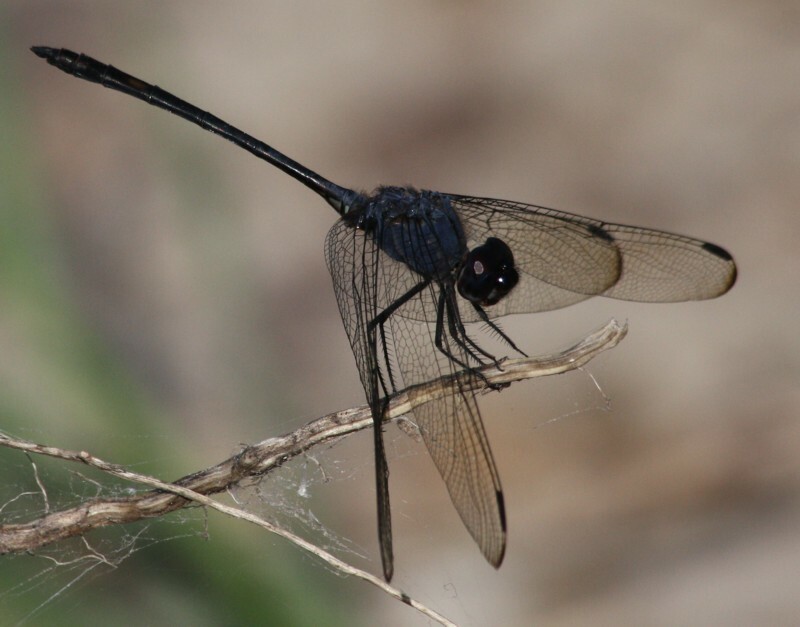 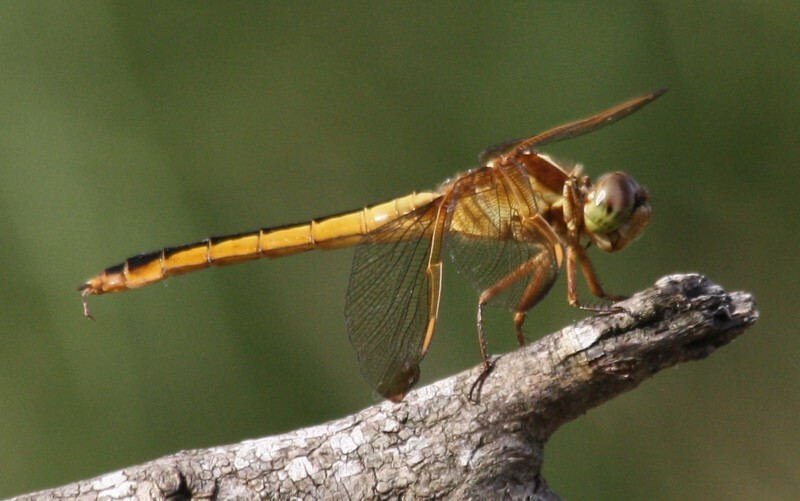 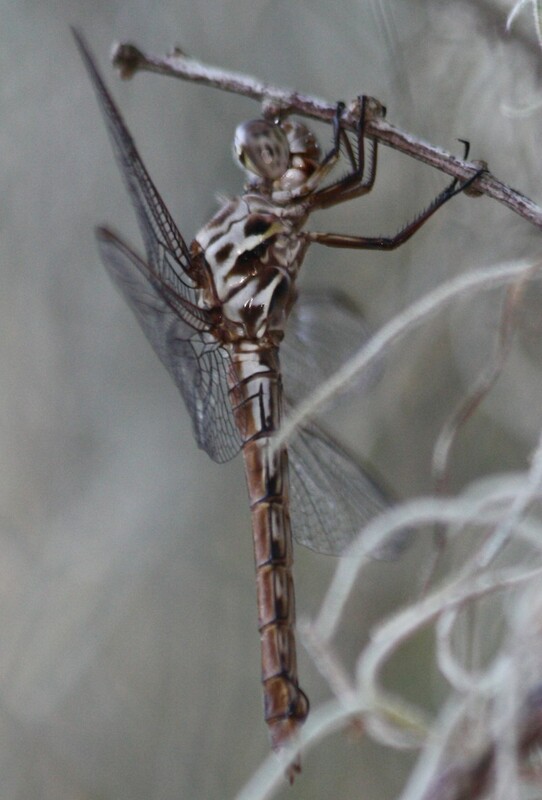 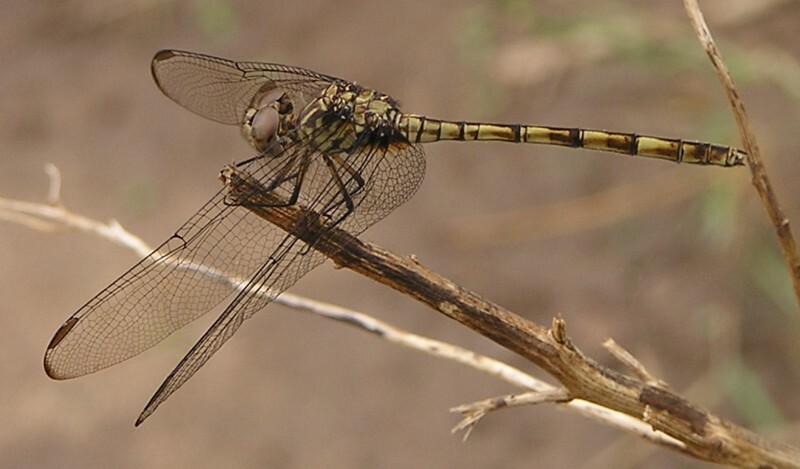 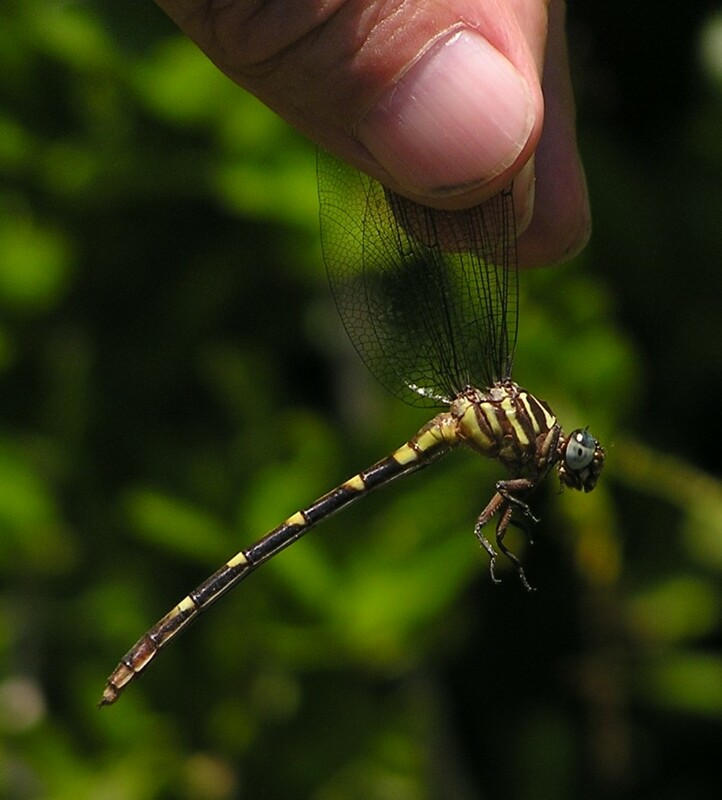 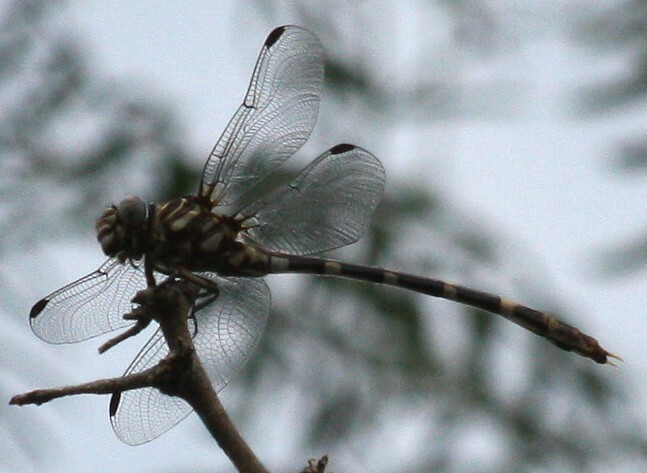 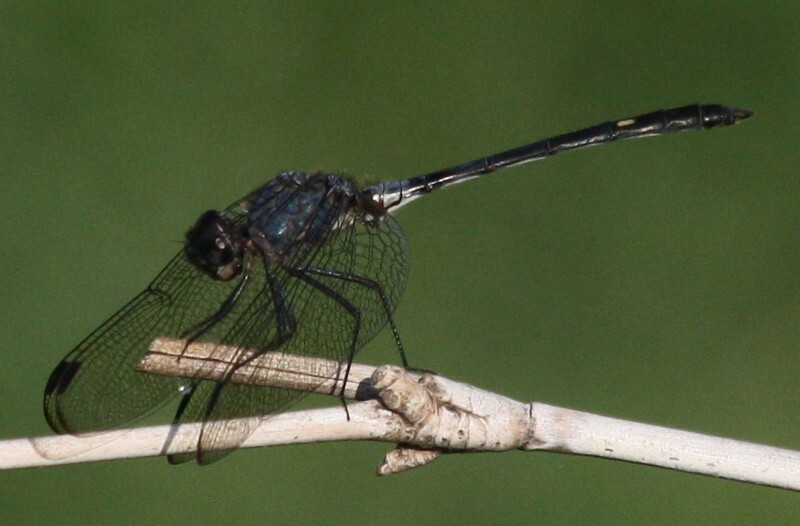 Female Band-winged Dragonlet, Estero Llano Grande SP. 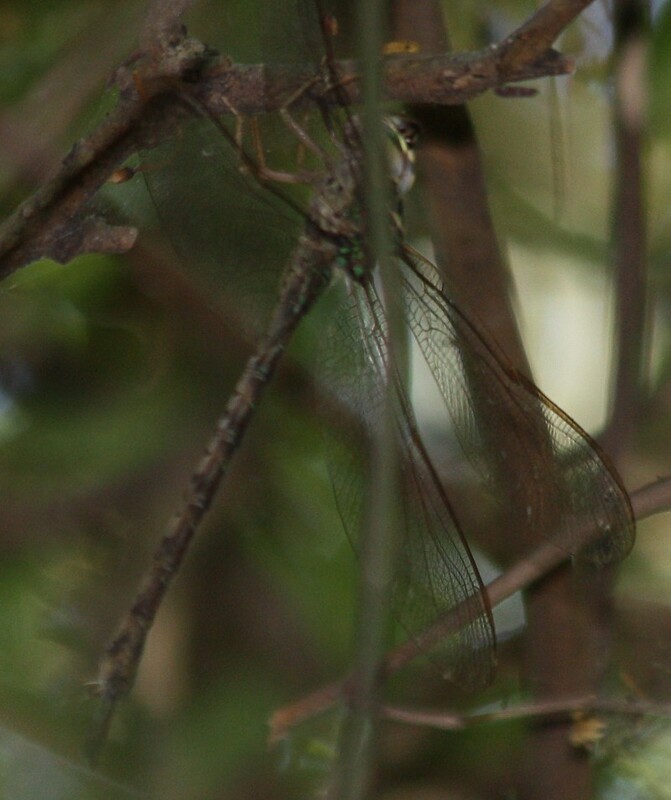 Left shot was taken in natural light, right was with the flash. 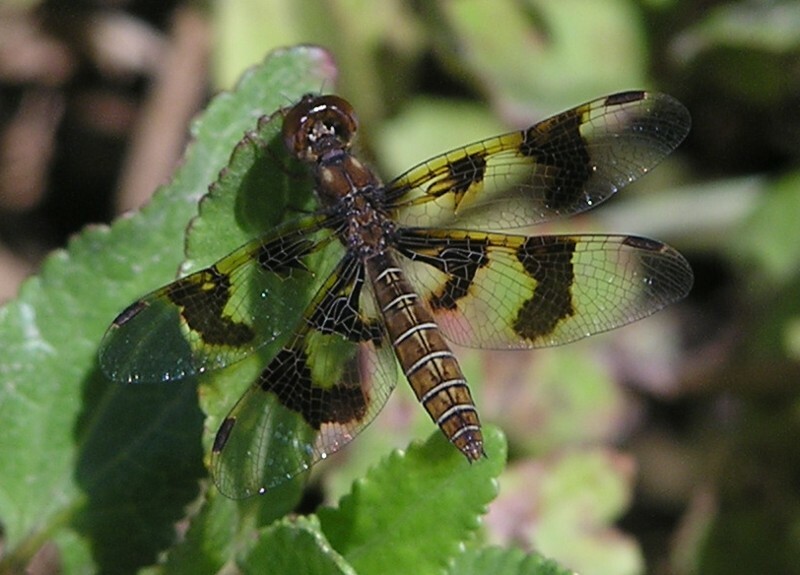 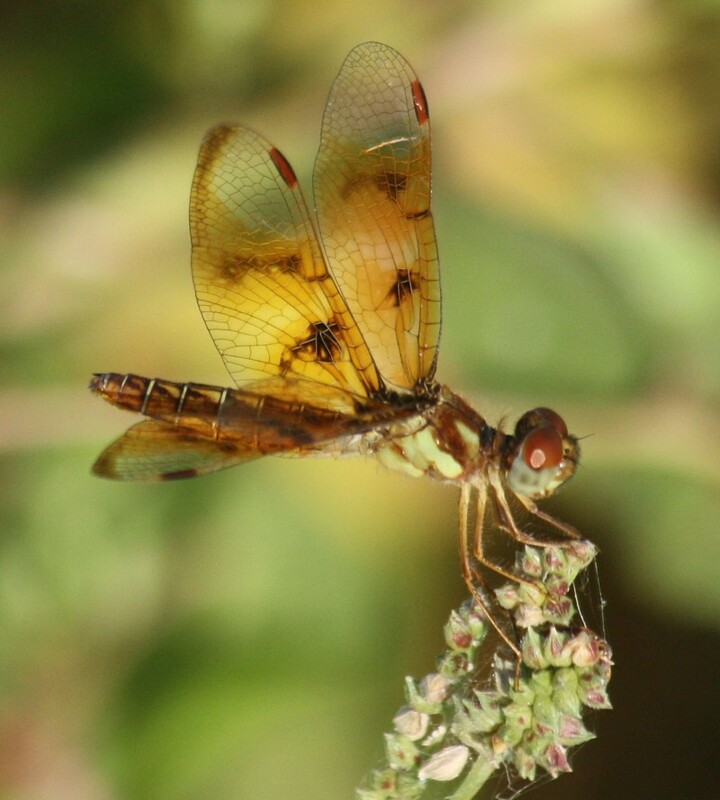 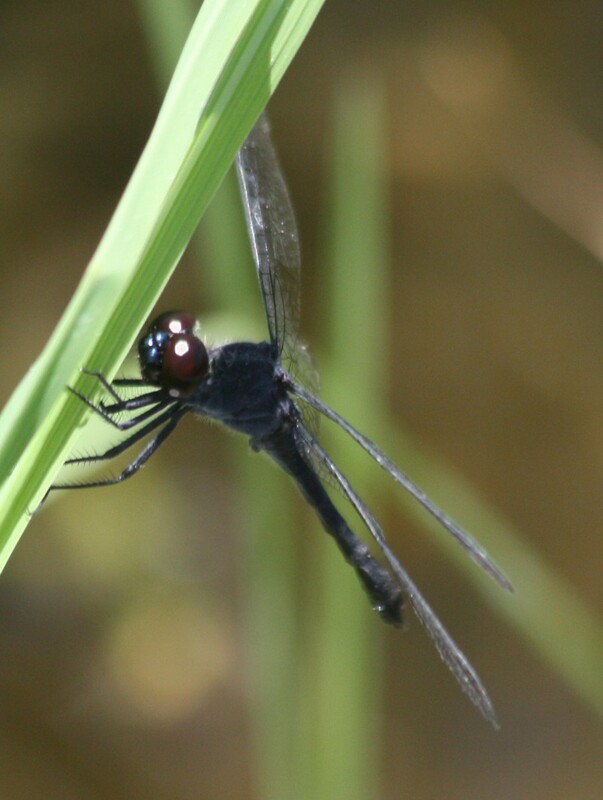 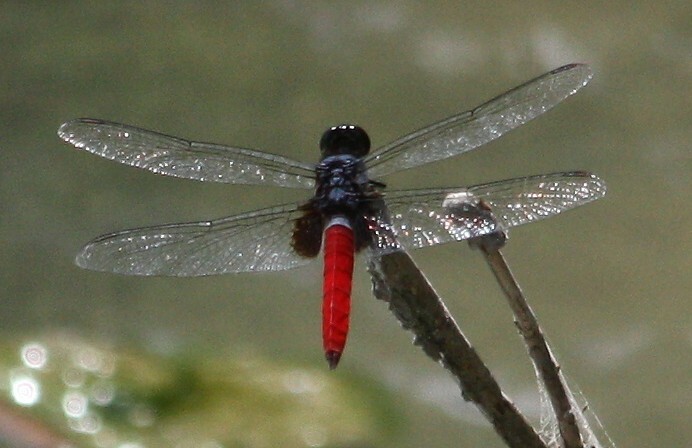 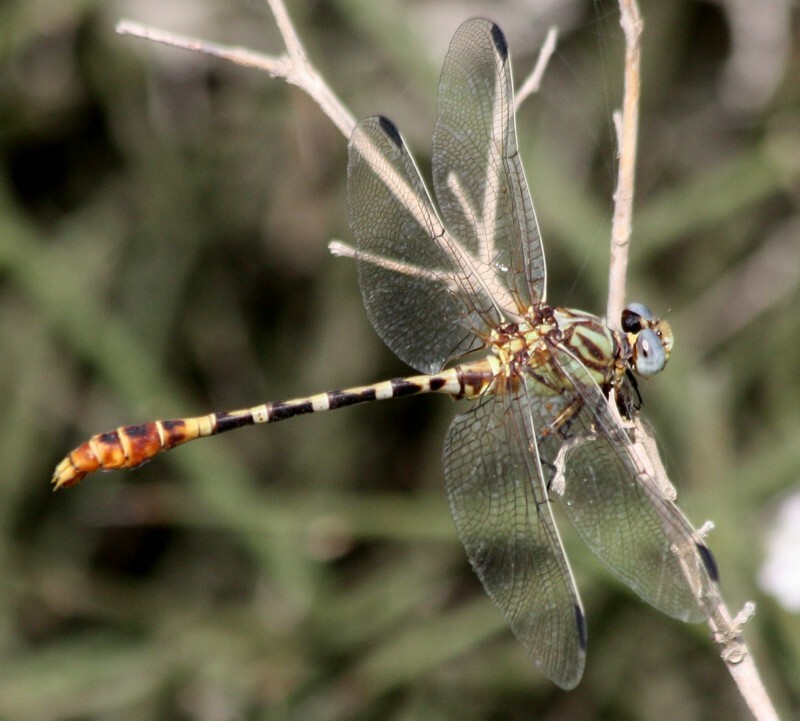 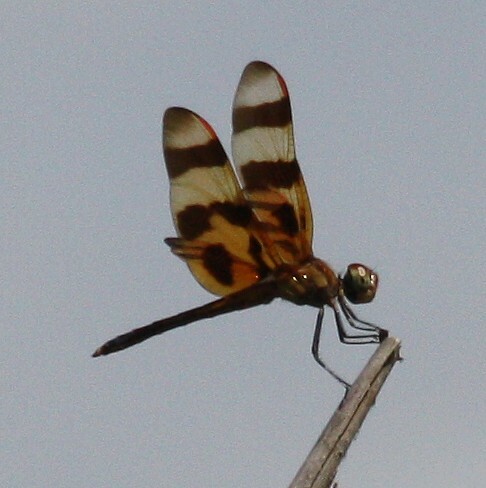 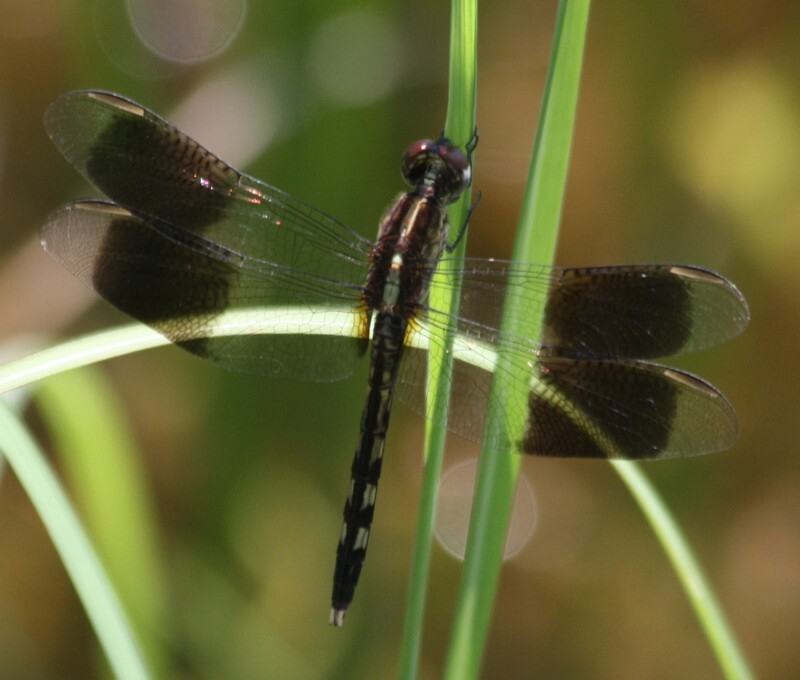 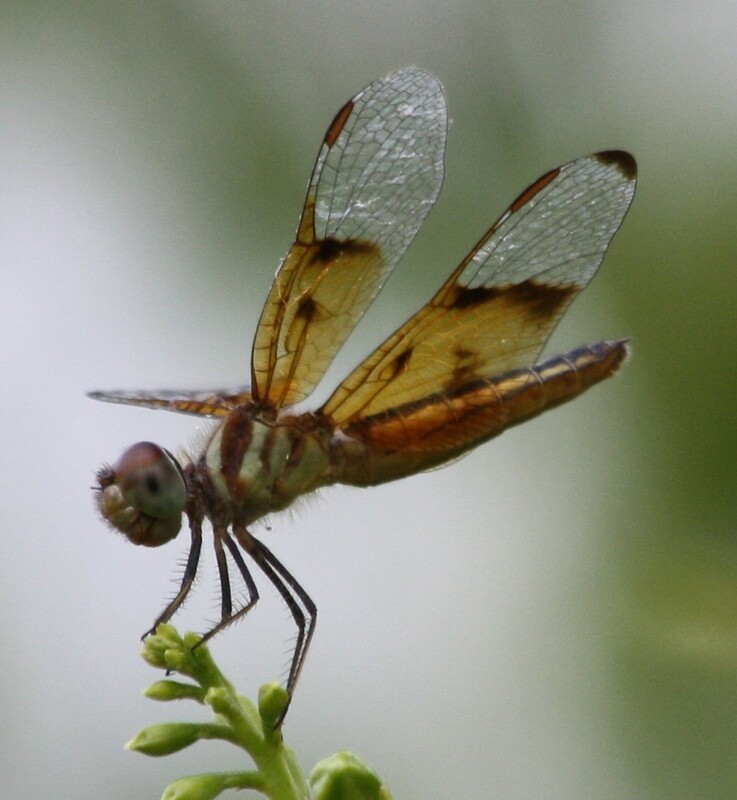 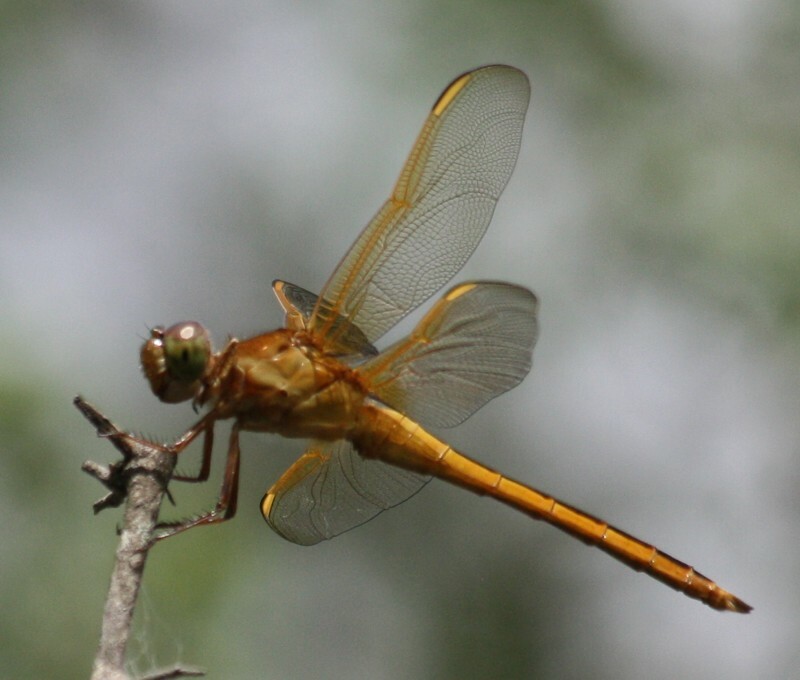 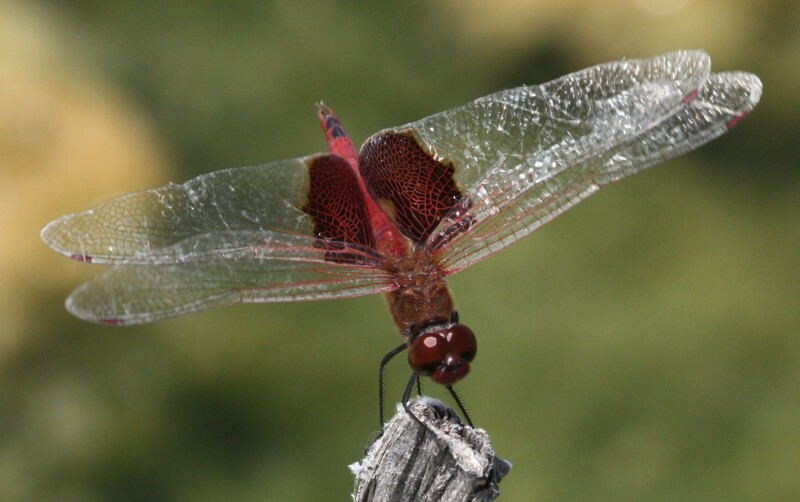 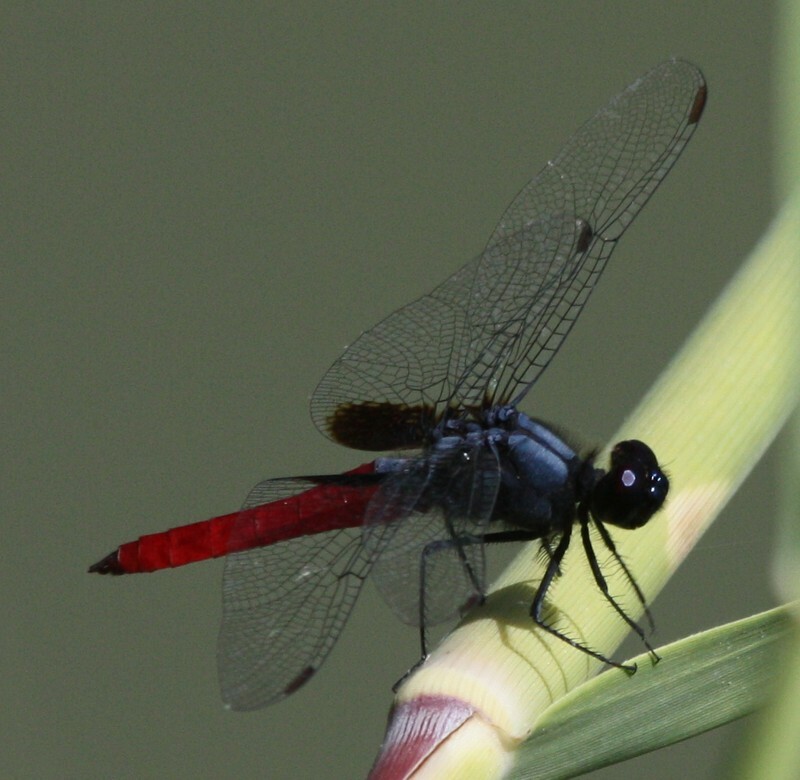 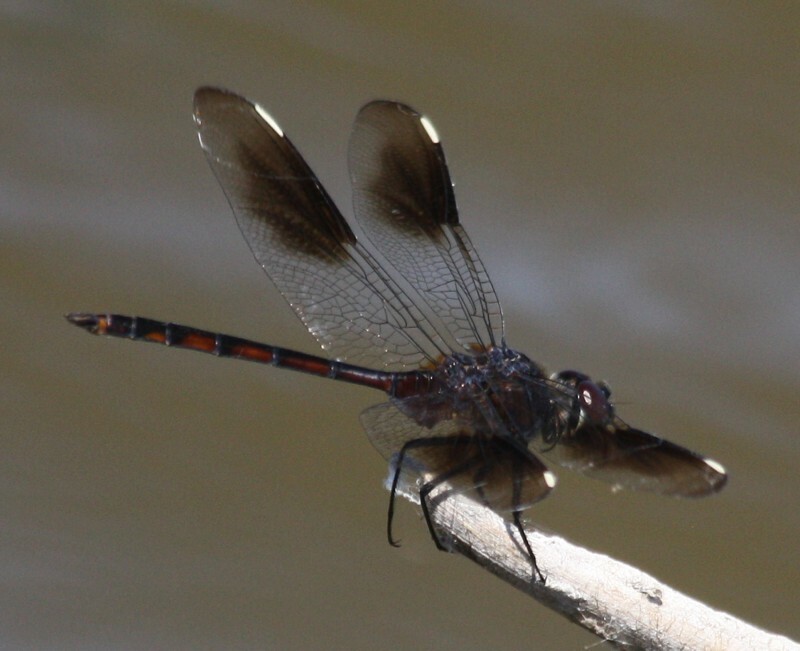 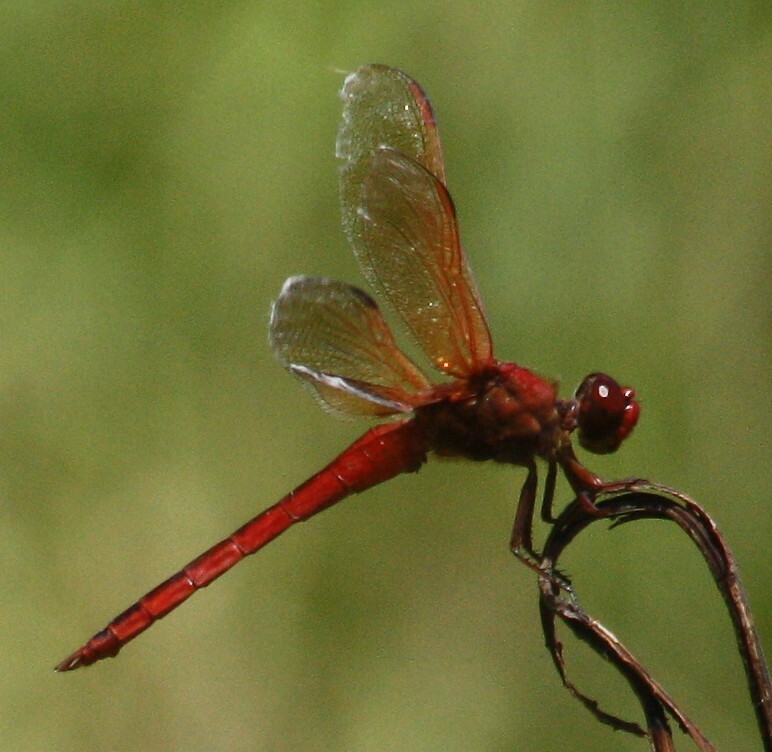 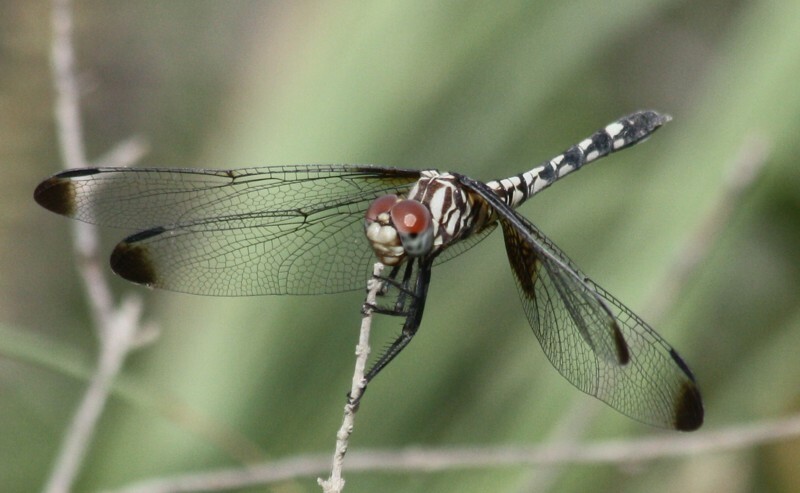 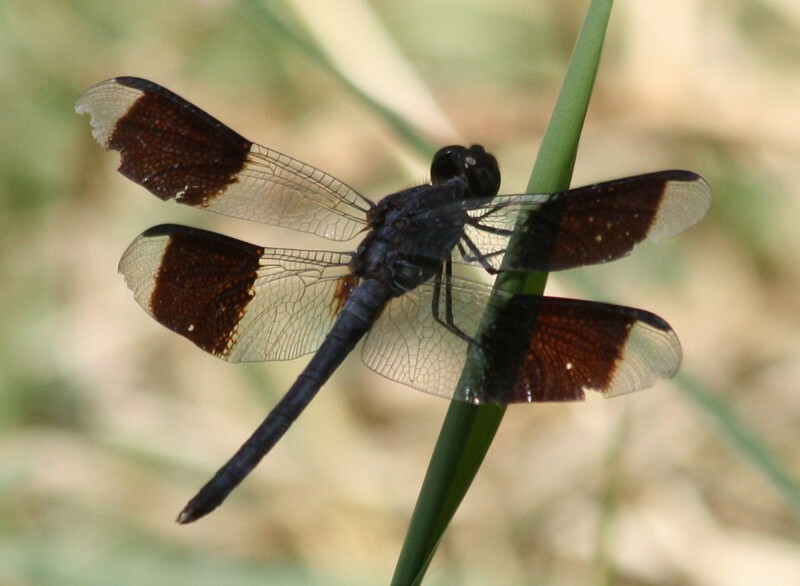 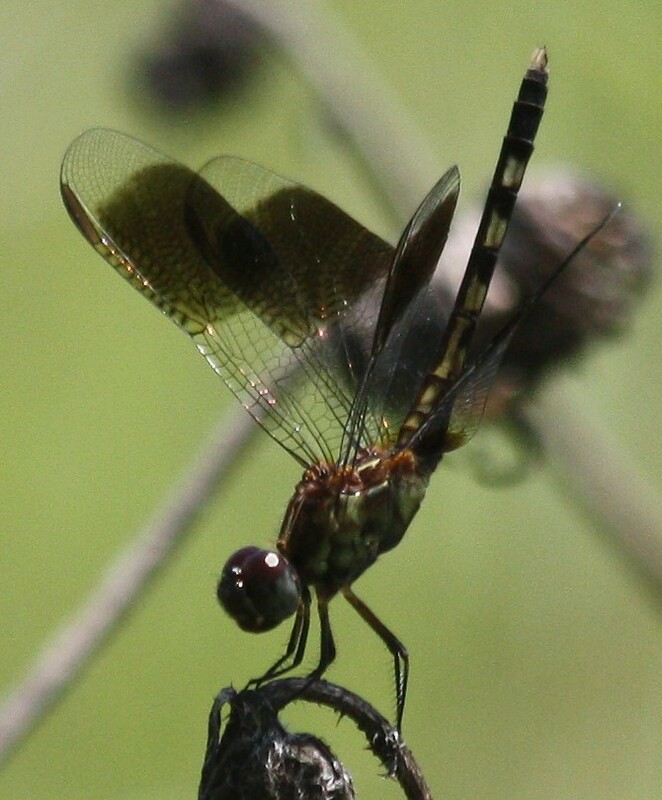 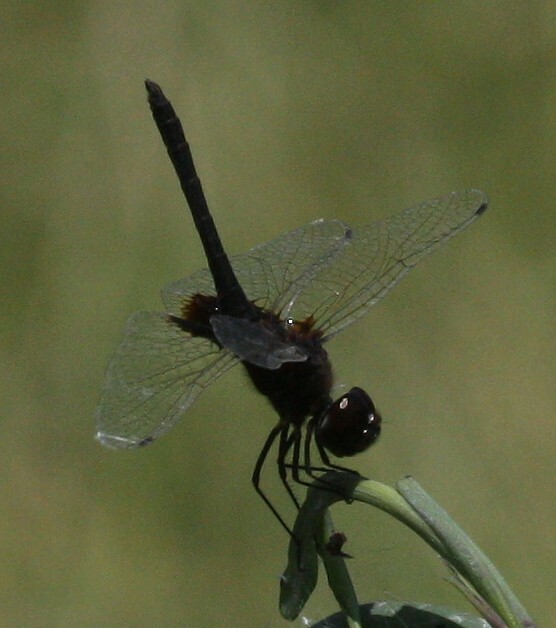 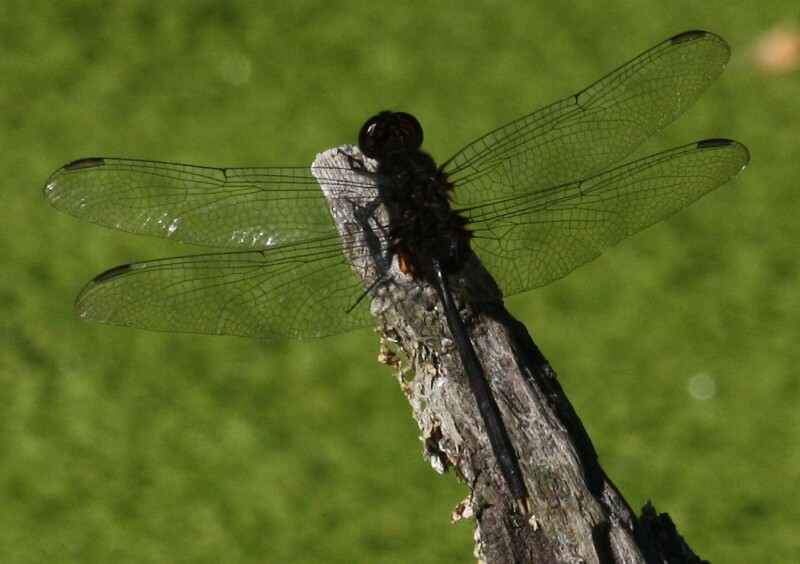 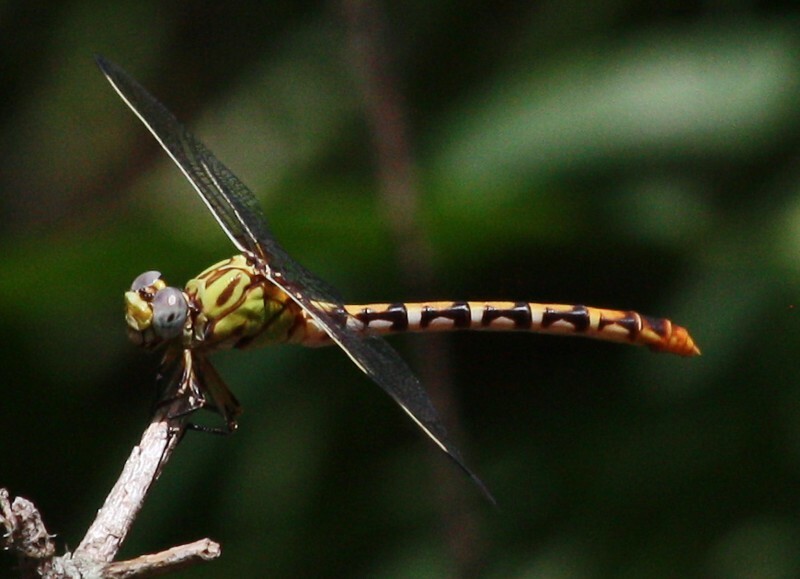 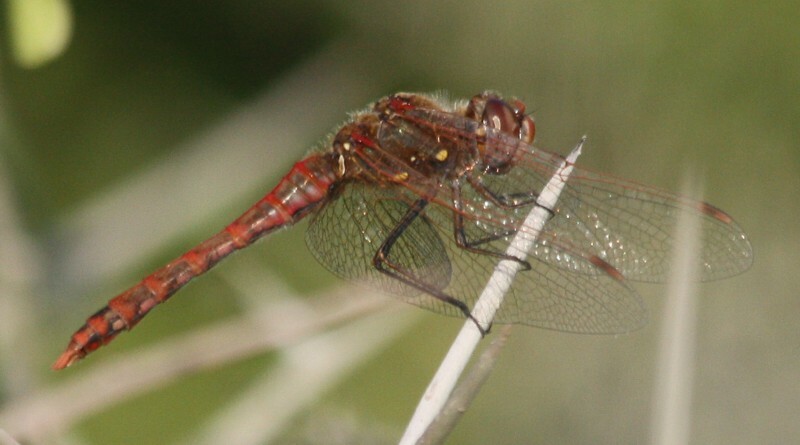 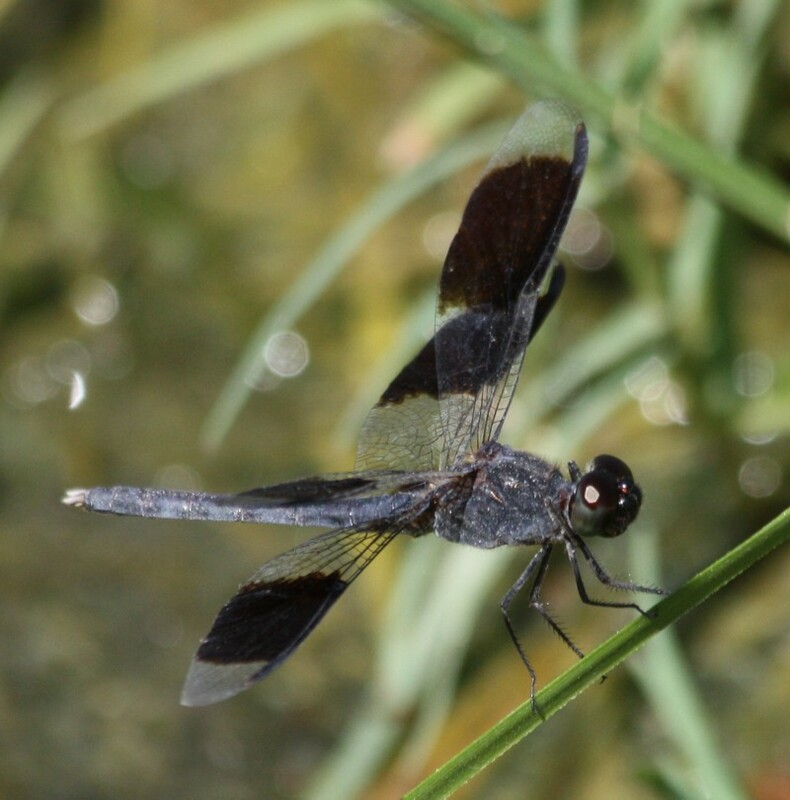 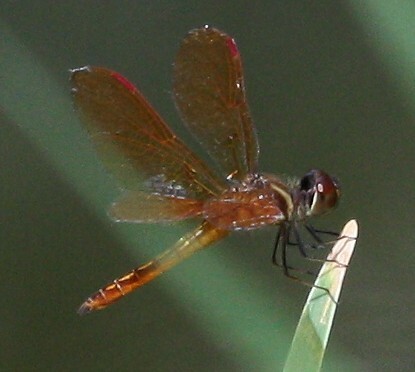 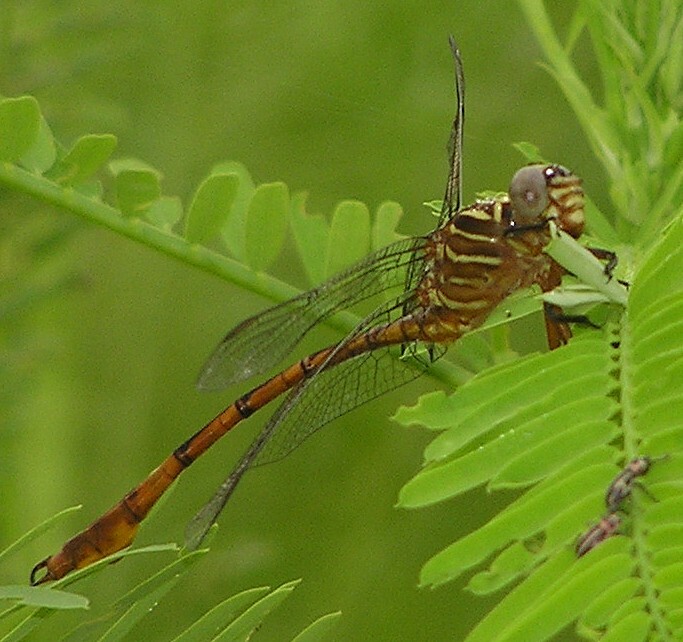 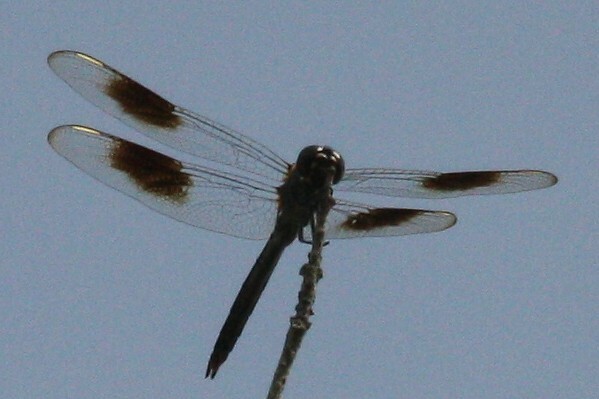 This rare Metallic Pennant checks us out at the Yturrias Tract! 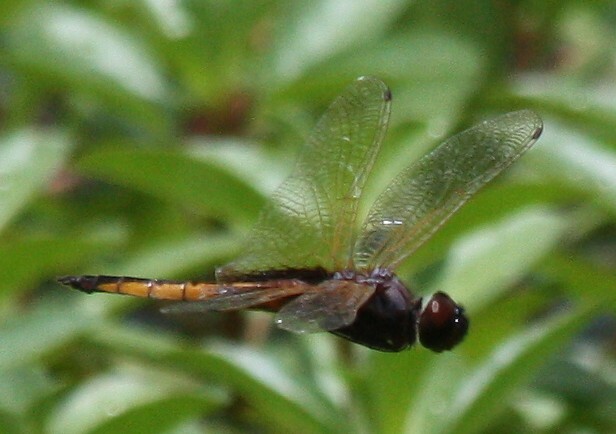 Note the snowy sheen to the wings. 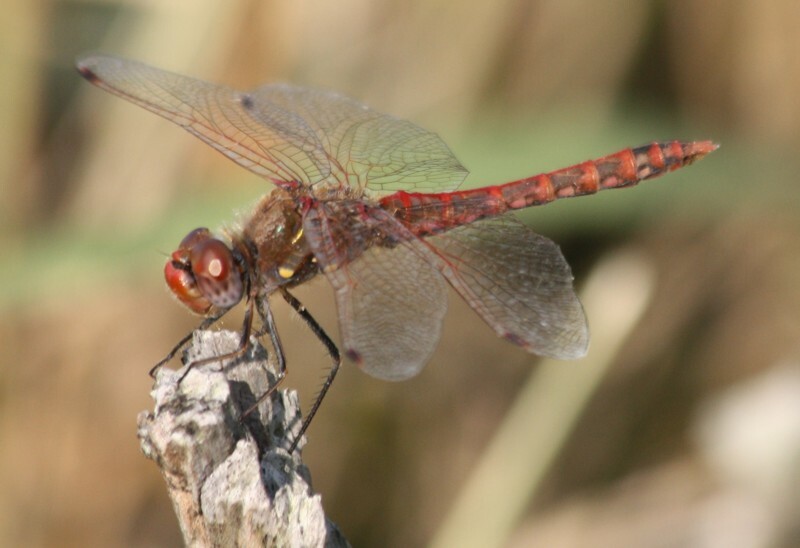 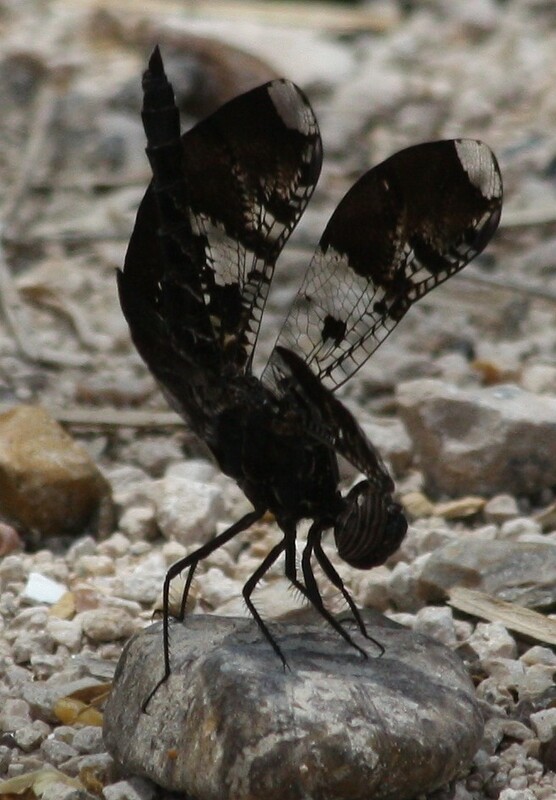 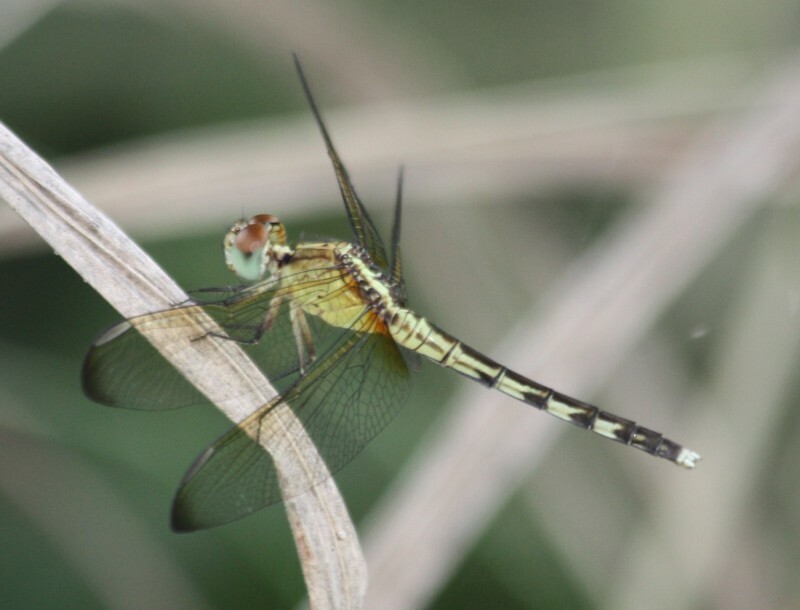 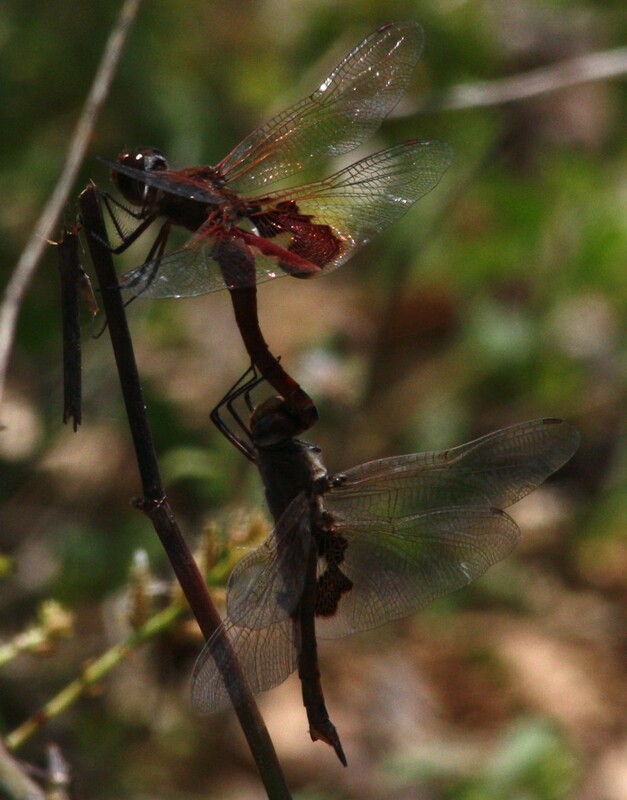 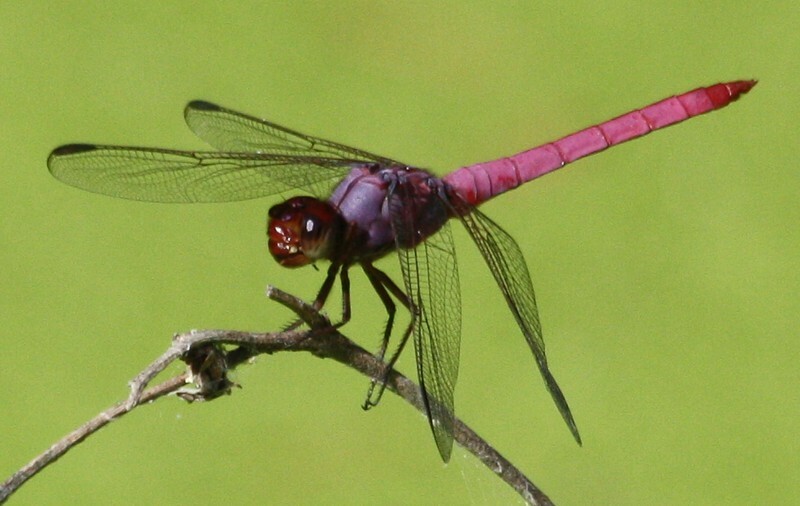 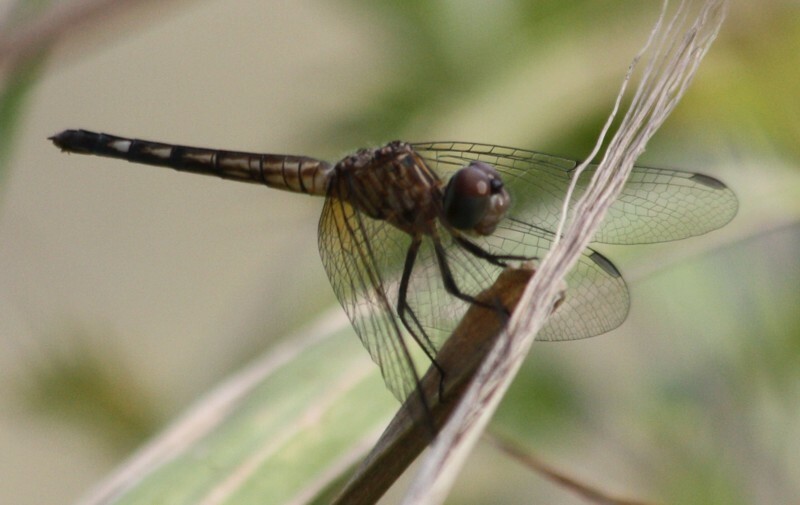 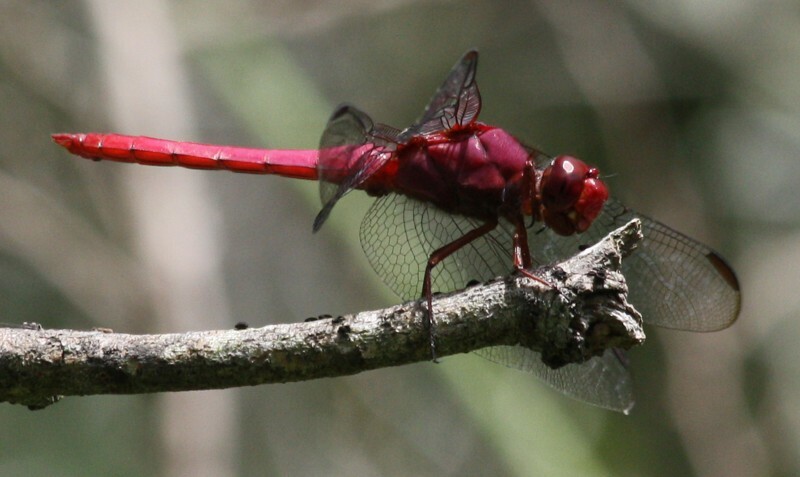 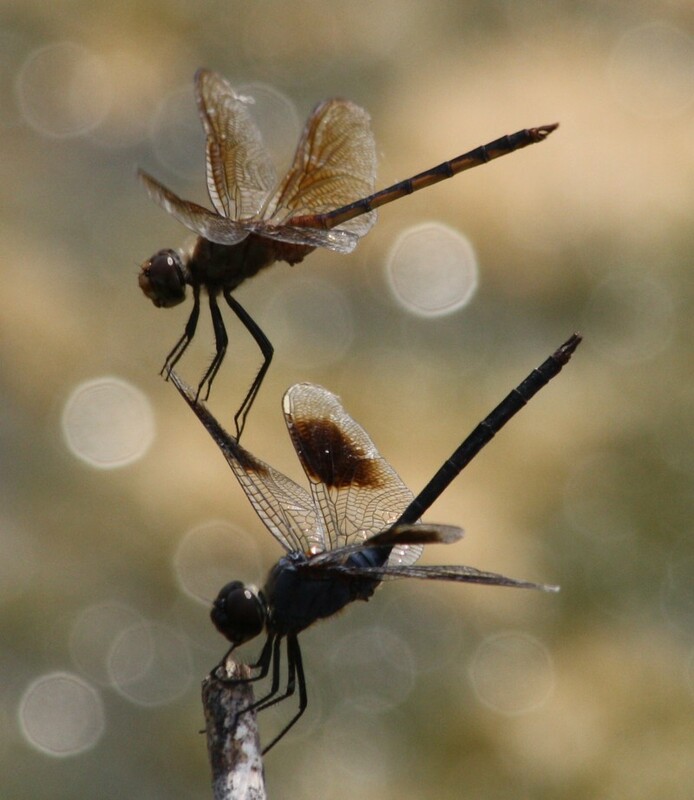 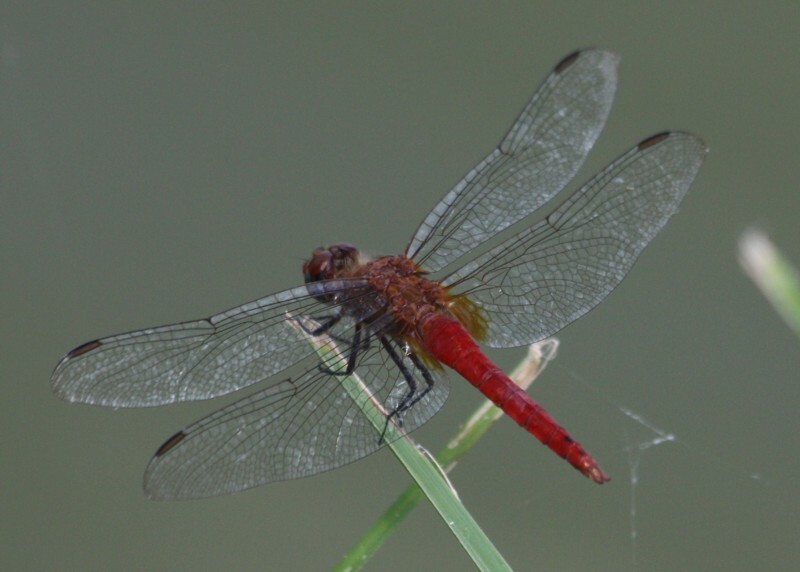 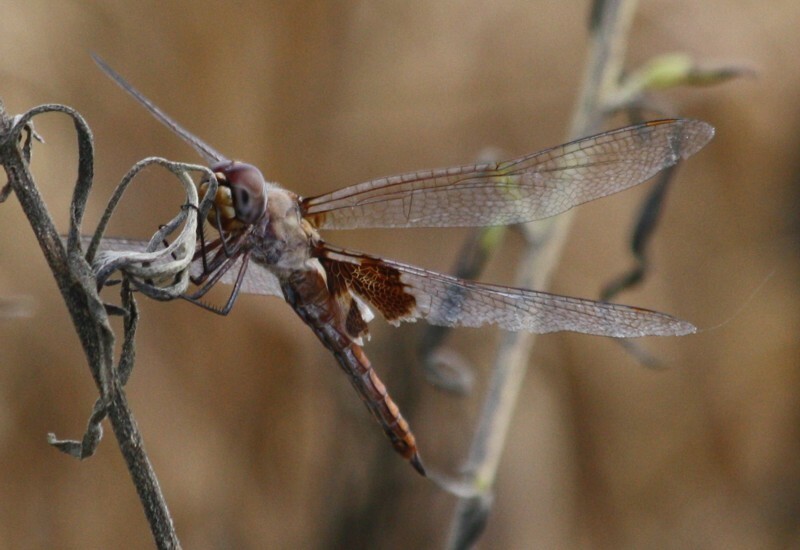 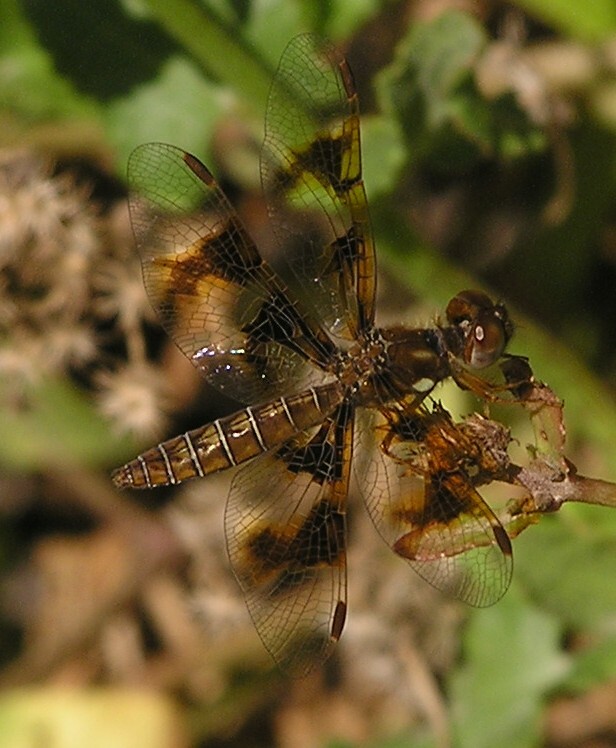 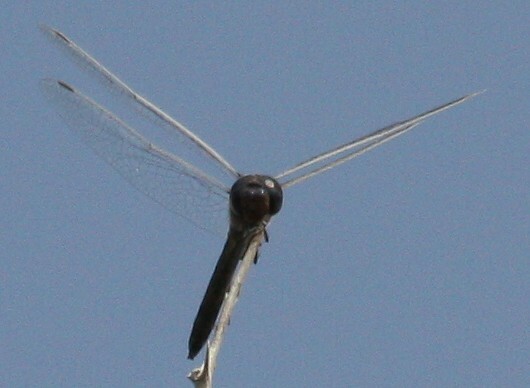 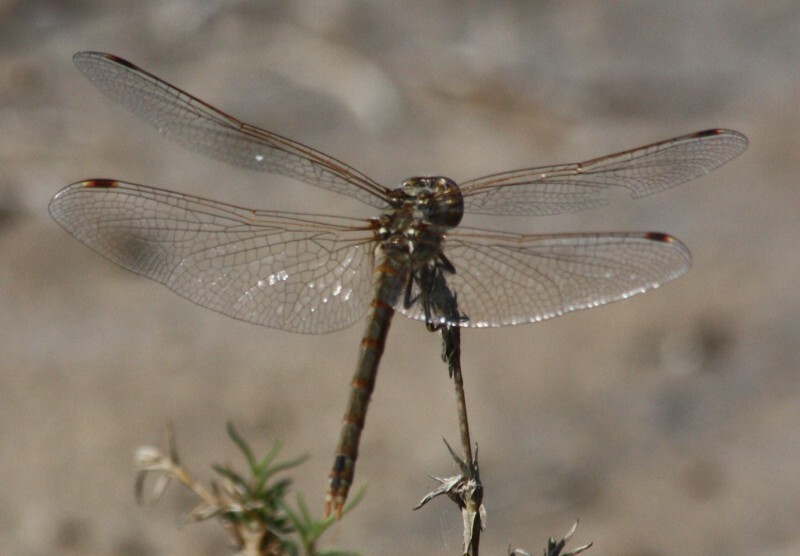 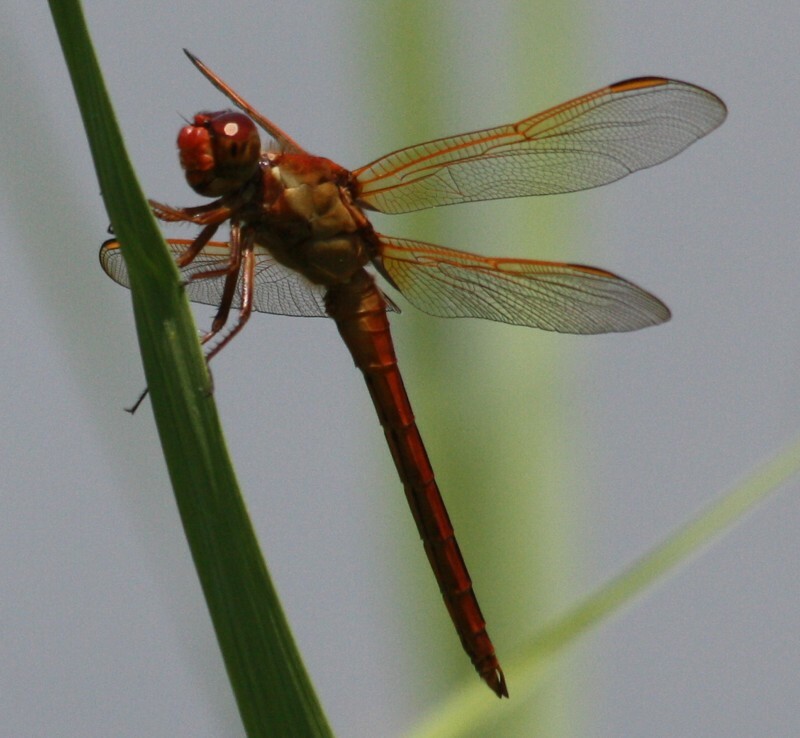 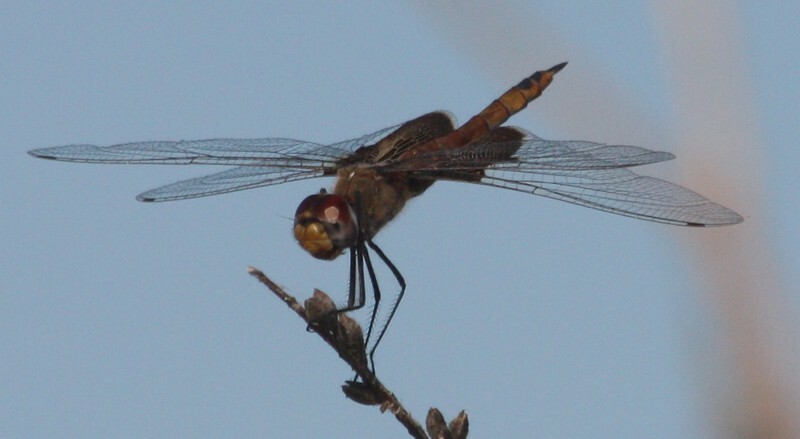 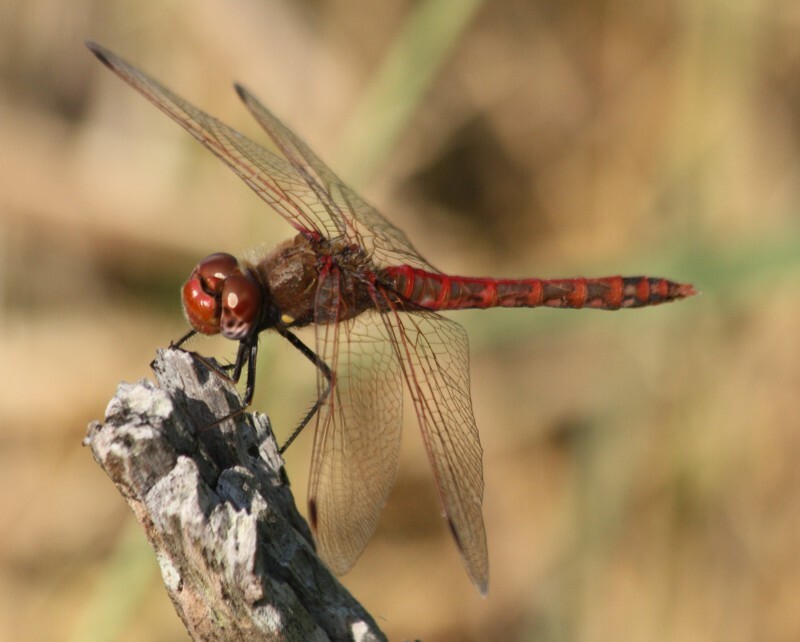 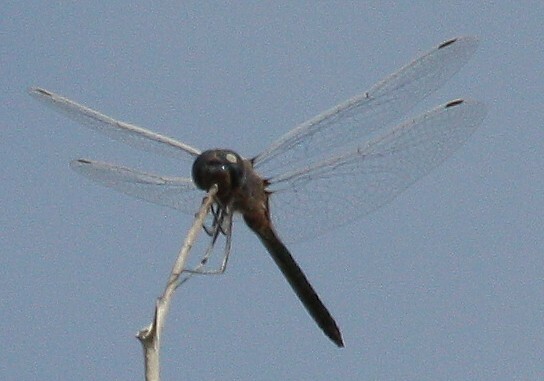 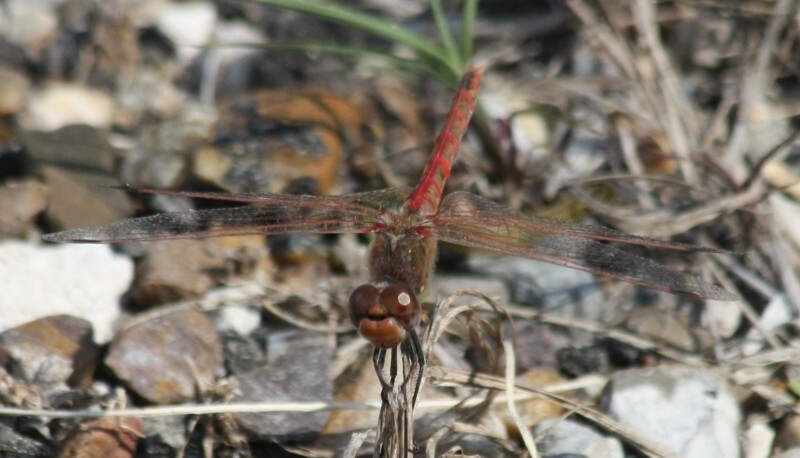 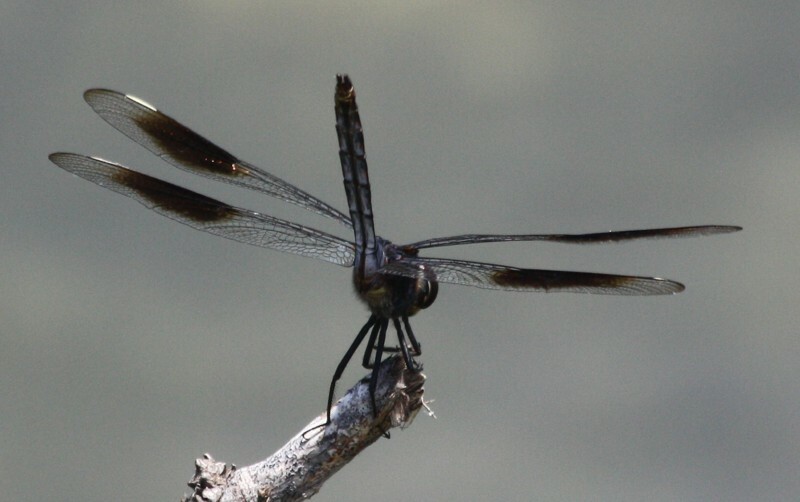 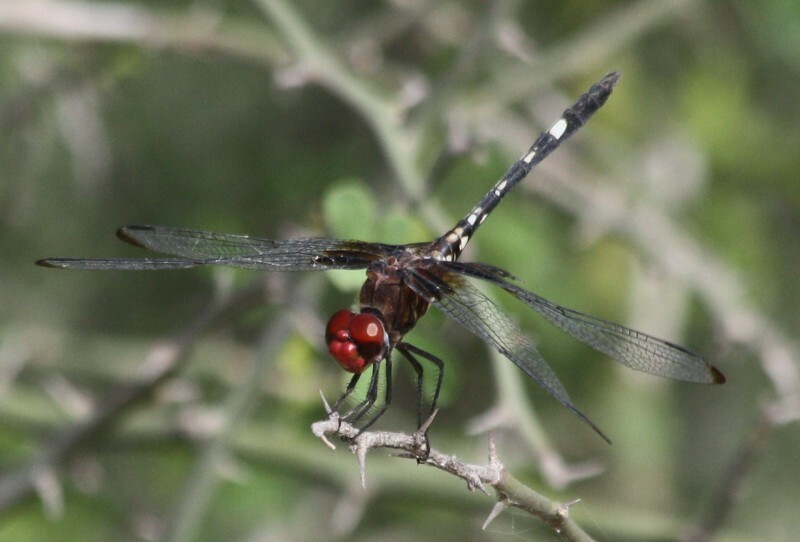 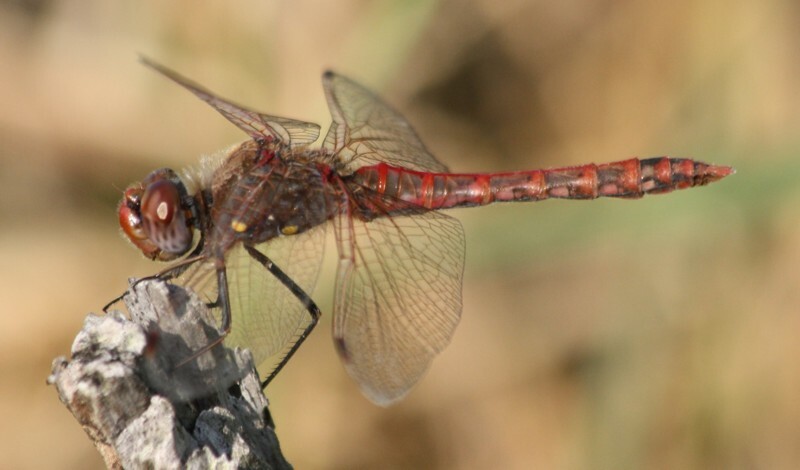 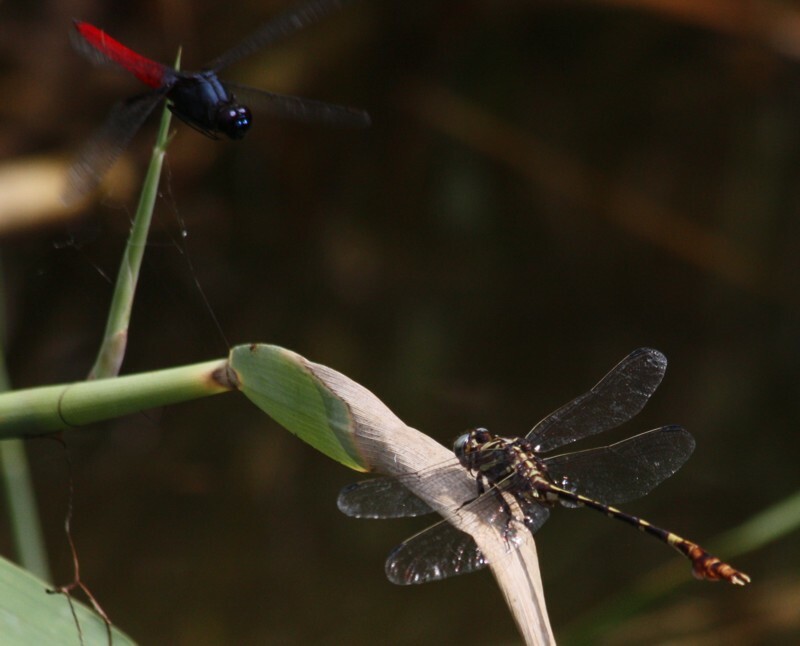 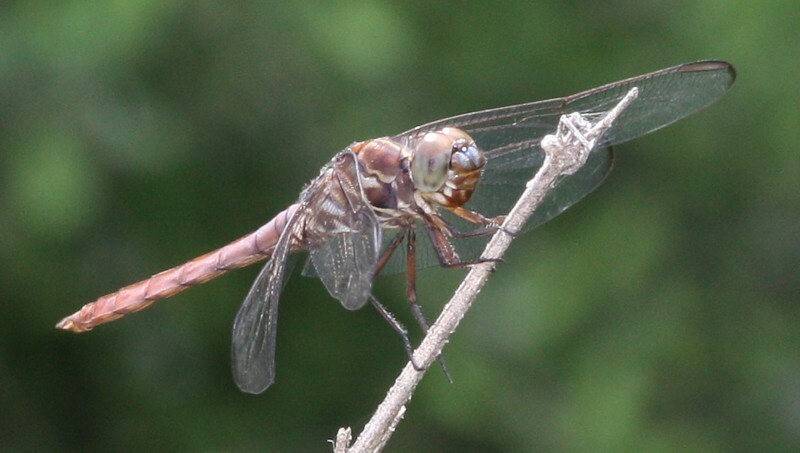 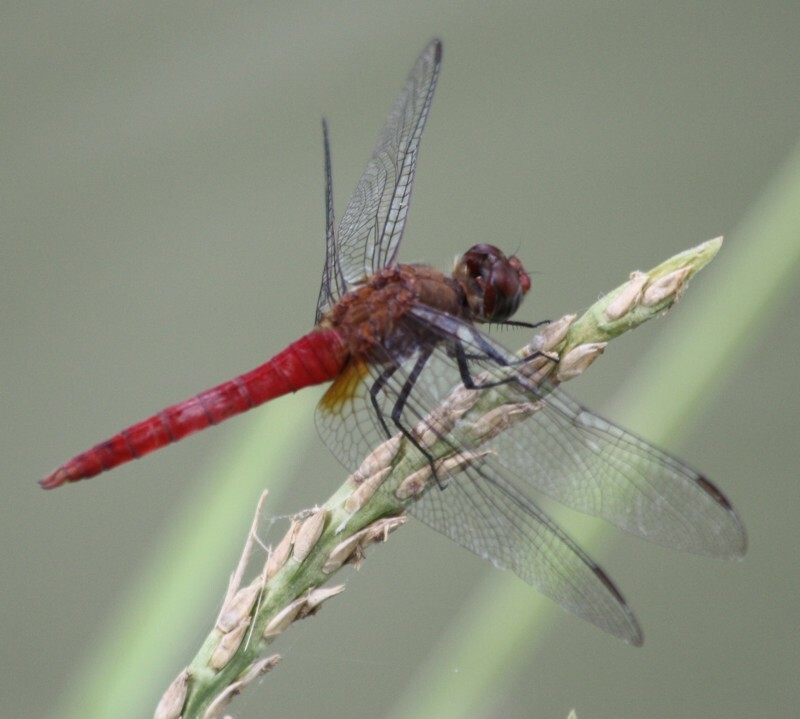 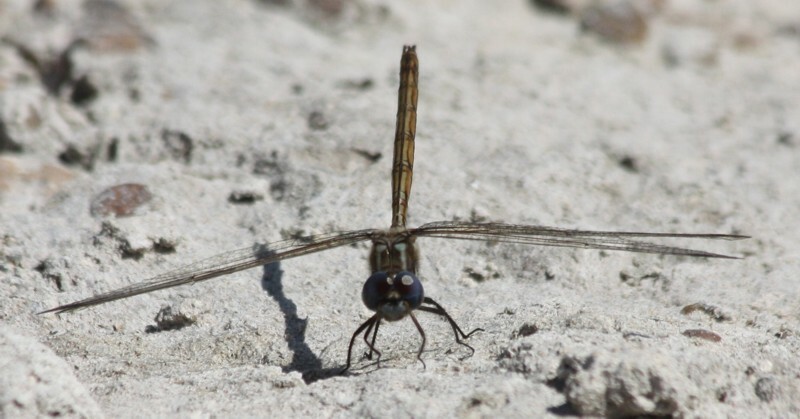 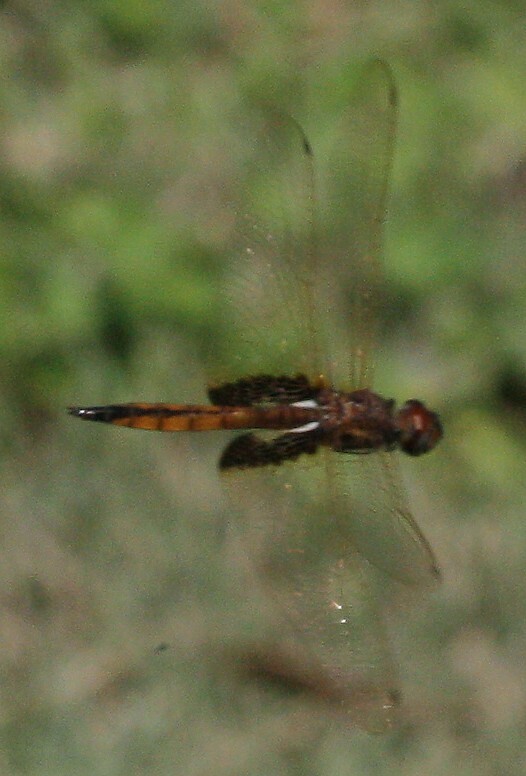 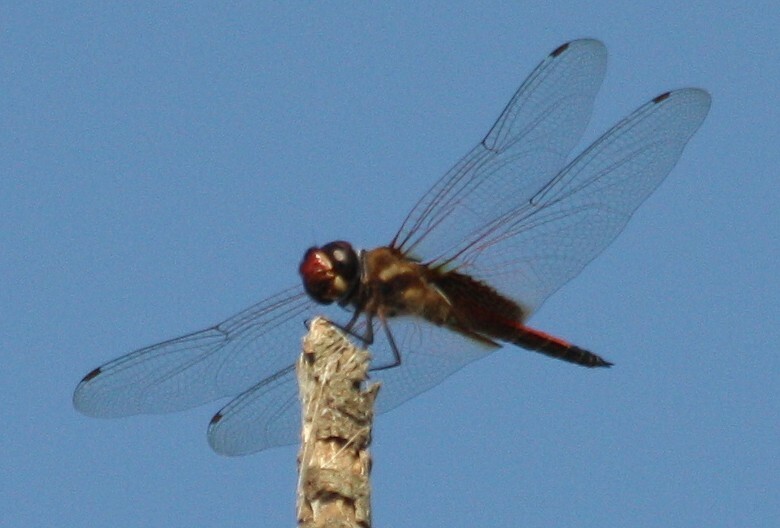 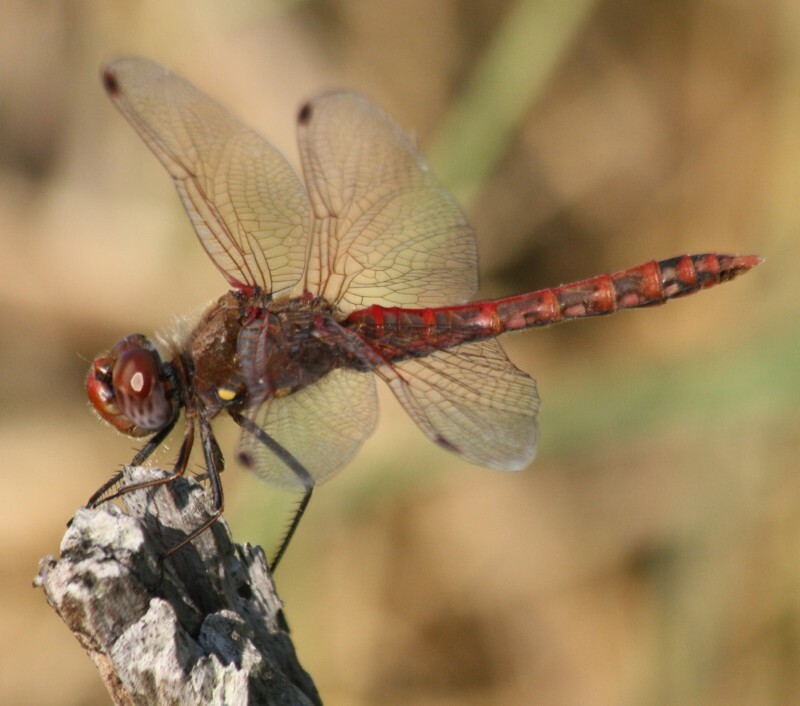 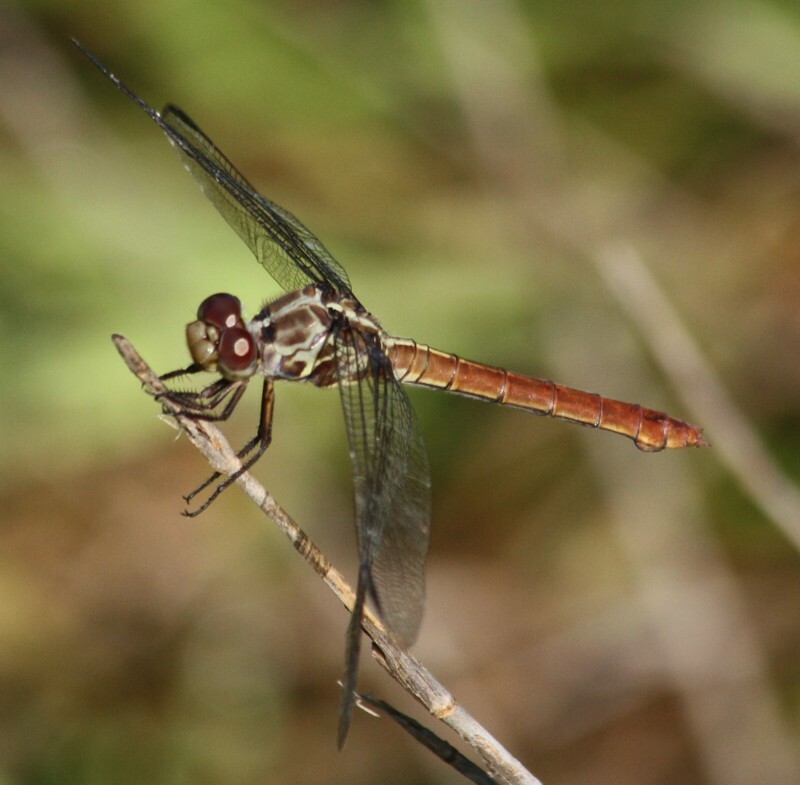 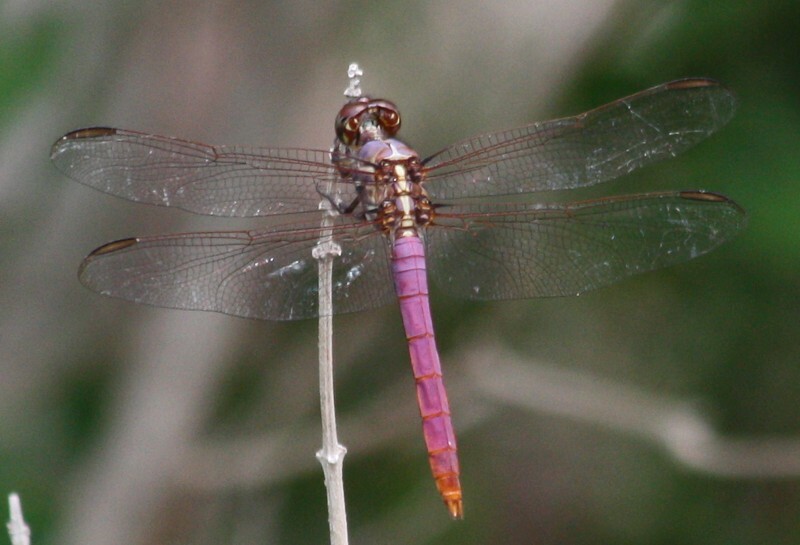 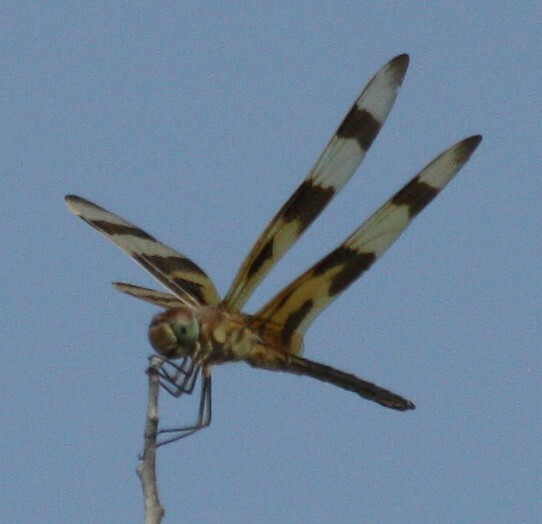 Another Female Roseate Skimmer acting like a darner at Santa Ana NWR! 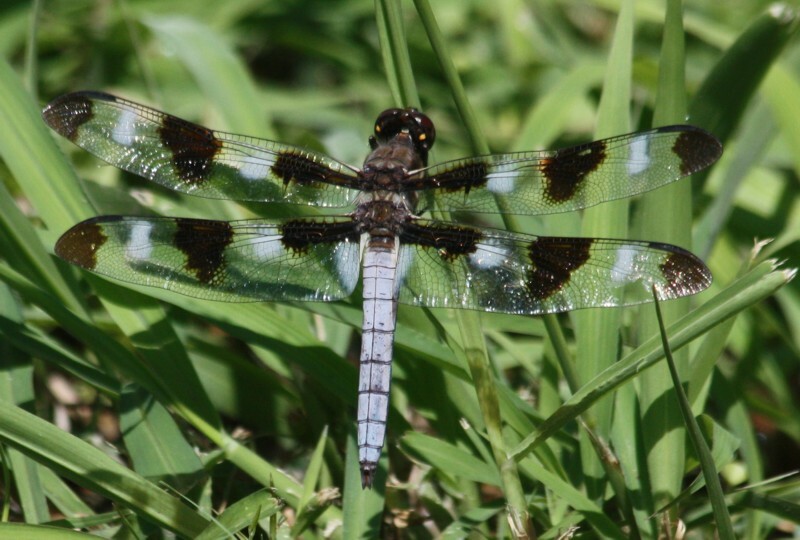 This Common Whitetail showed up in Berry Nall's yard in Falcon Heights: while common as dirt north of us, they're accidental in the Valley! 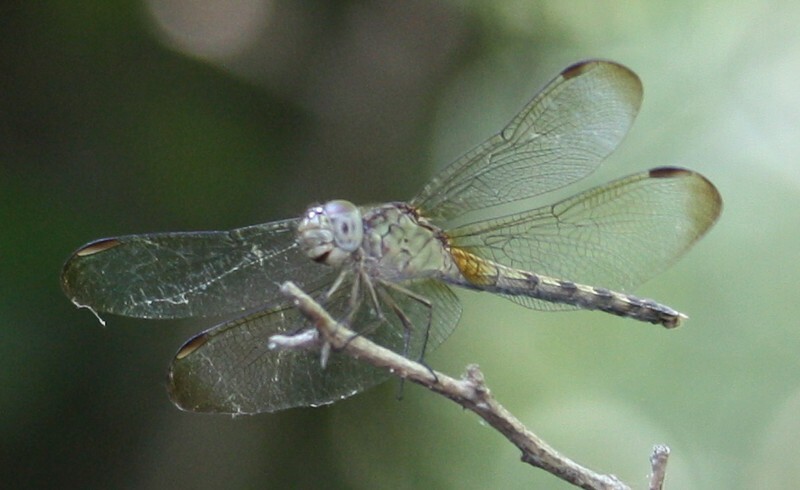 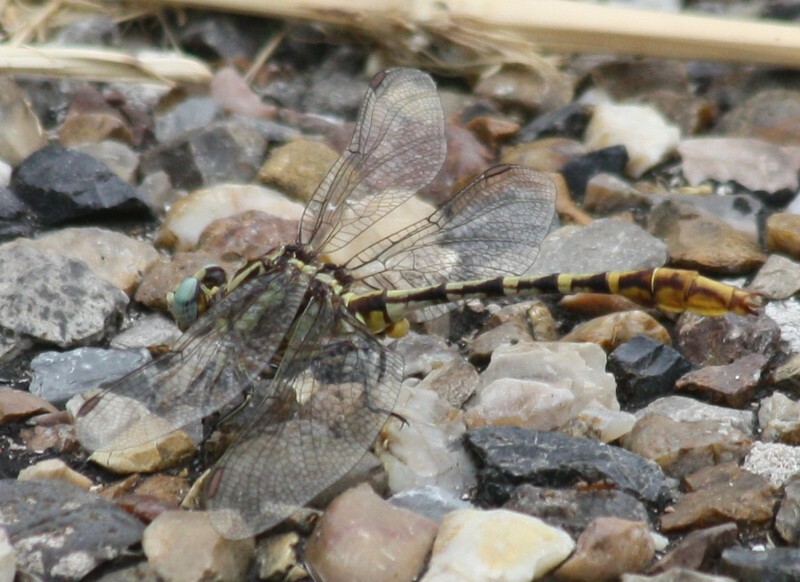 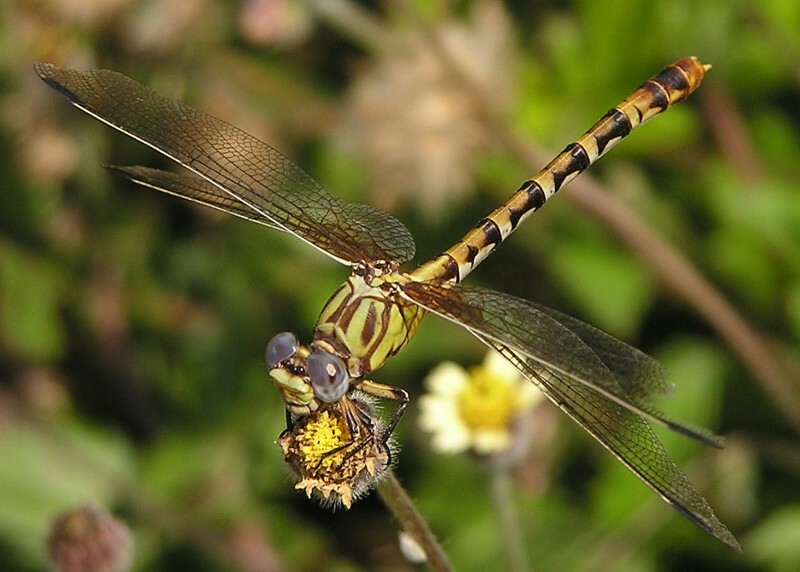 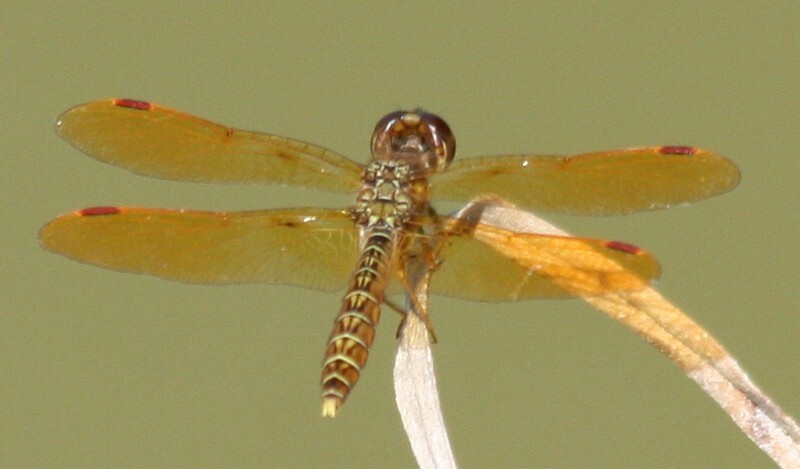 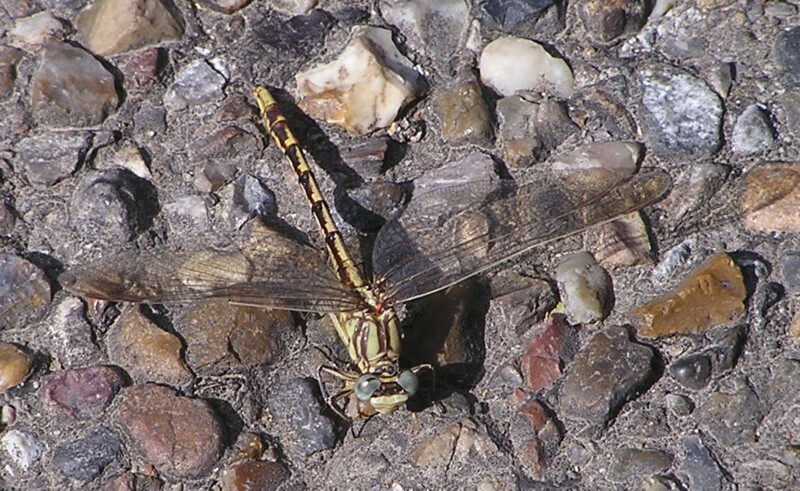 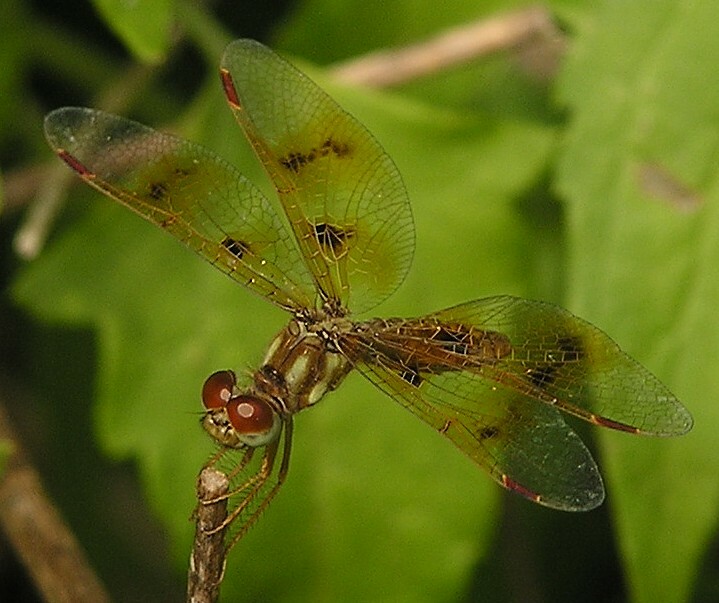 The two yellow dots on the thorax and the patterned abdomen are diagnostic.